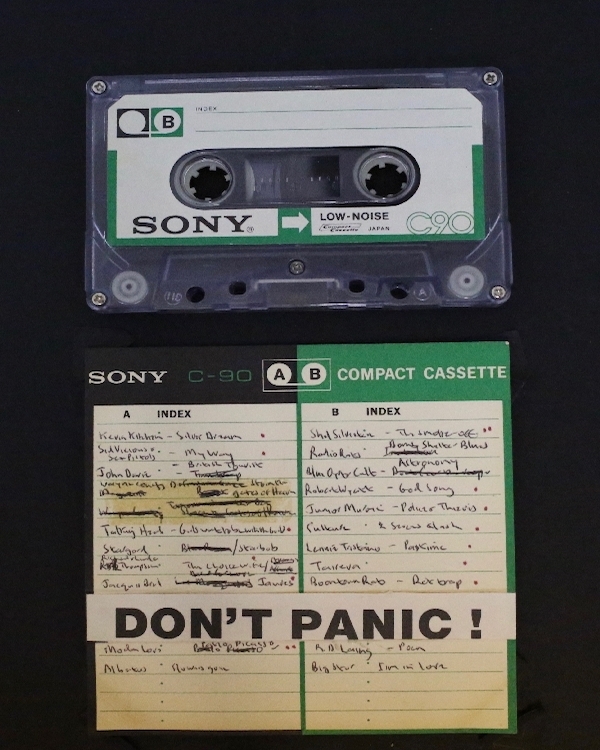 Music-streaming services are fast becoming the primary technology for everyday music consumption. 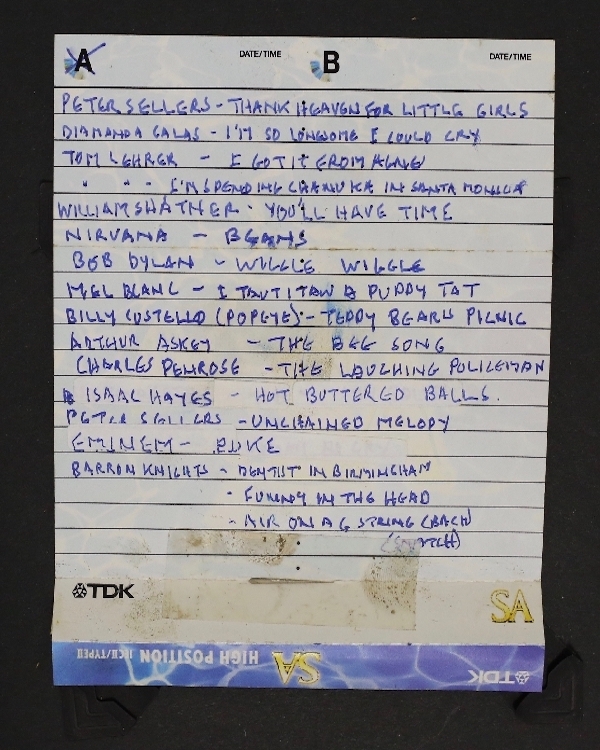 We listen to more artists than ever before, and making playlists is a quick and easy way to collect and organise our music. 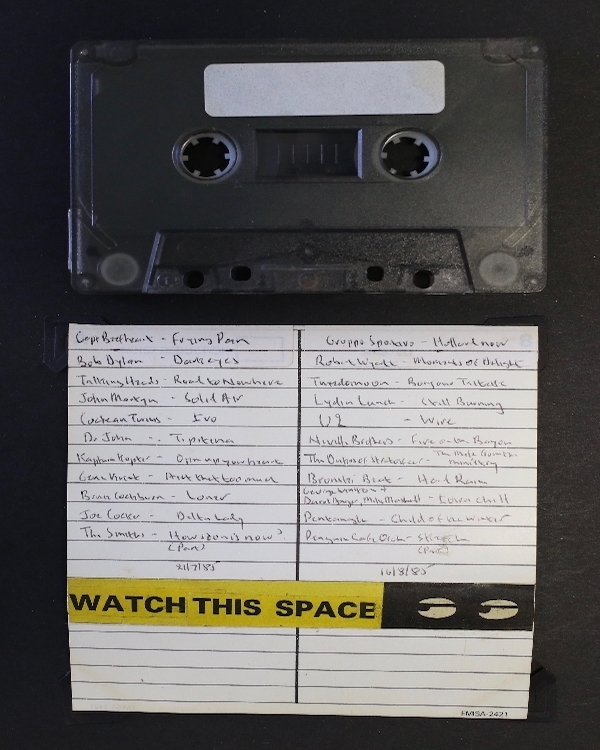 How were playlists made before platforms such as YouTube, iTunes, Deezer and Spotify became available? 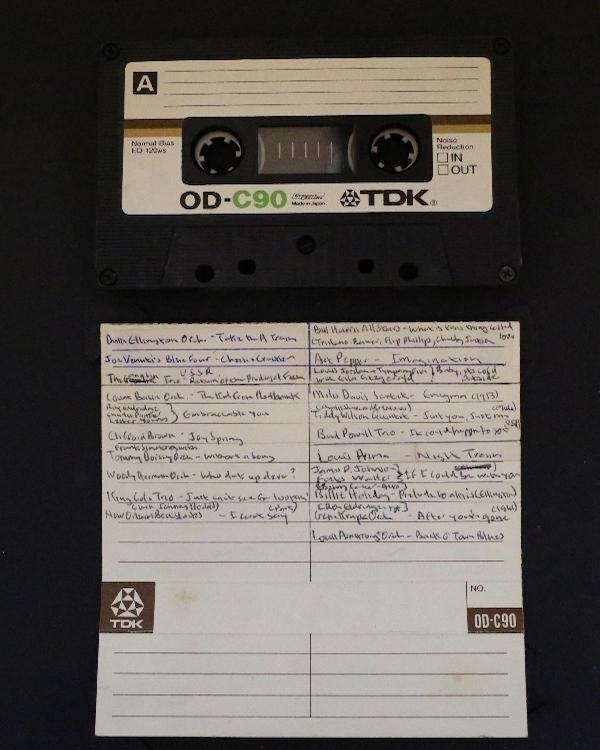 Compiling a mix-tape was a time-consuming activity. 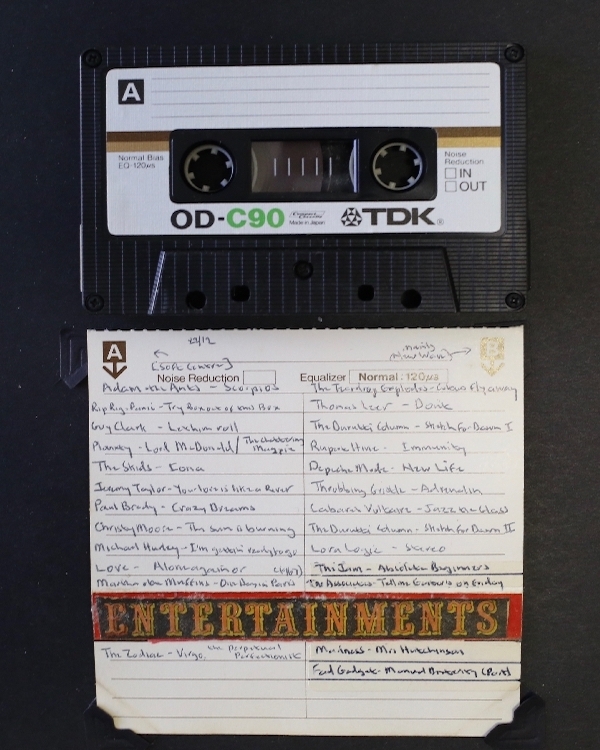 Hours were spent carefully compiling the perfect playlist onto a cassette tape, making covers and jotting down all the artists. 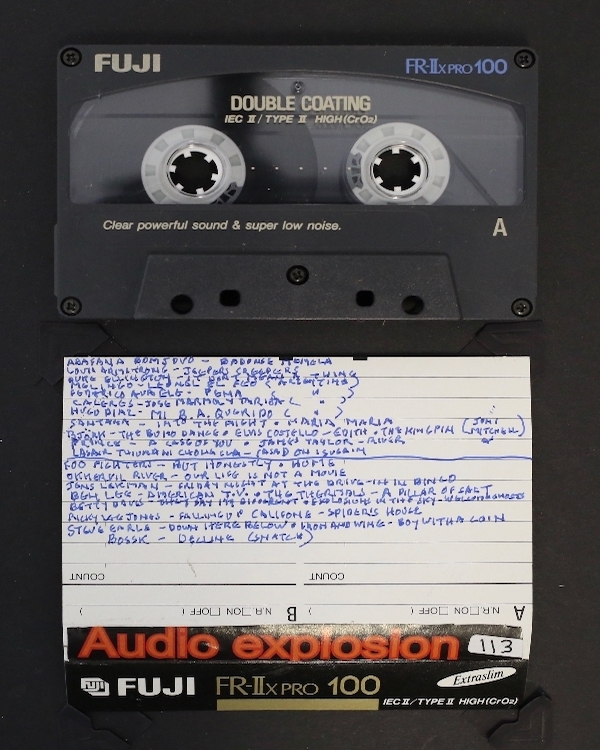 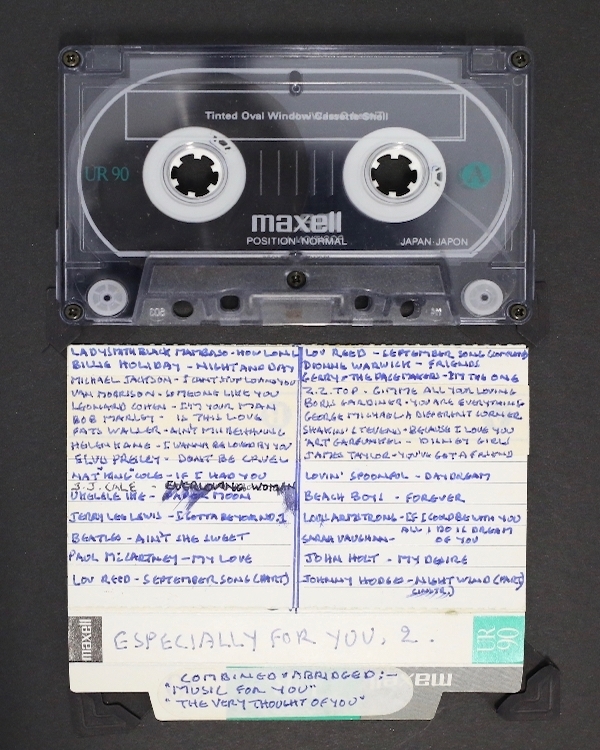 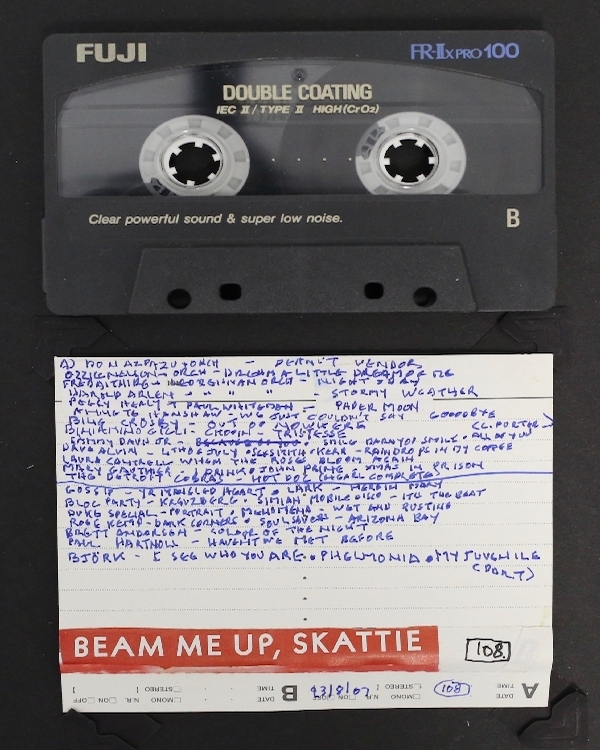 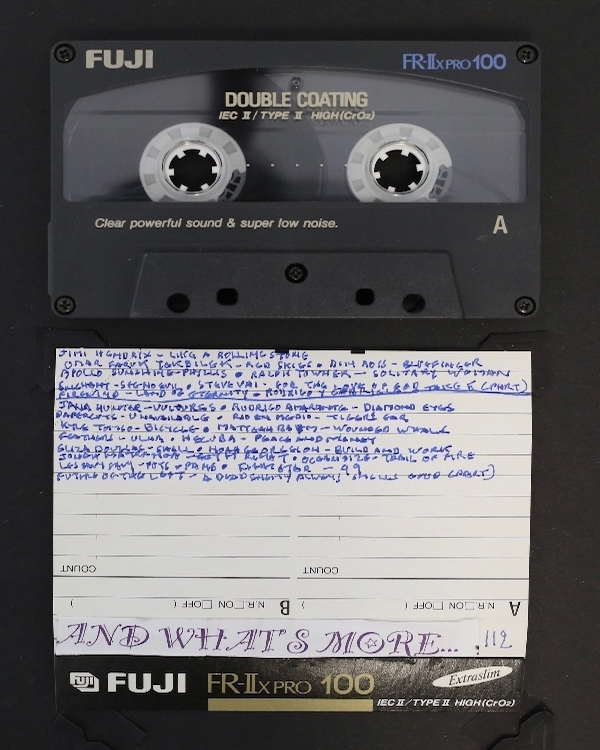 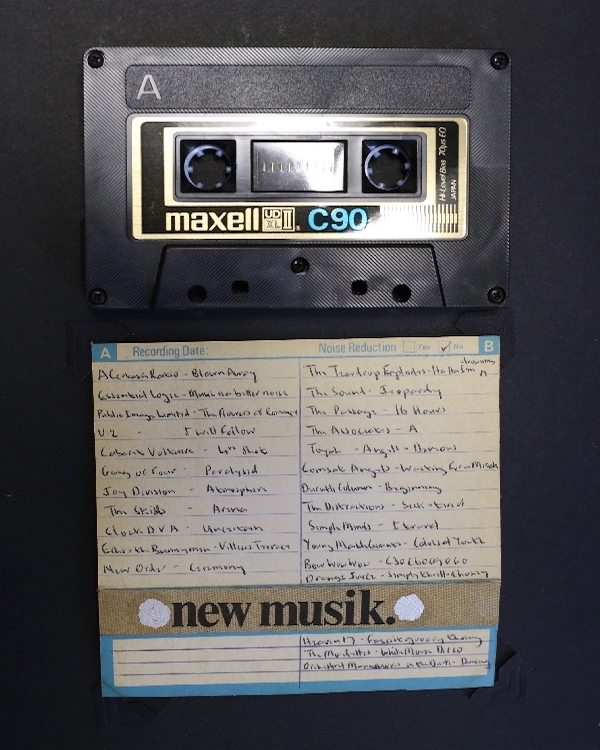 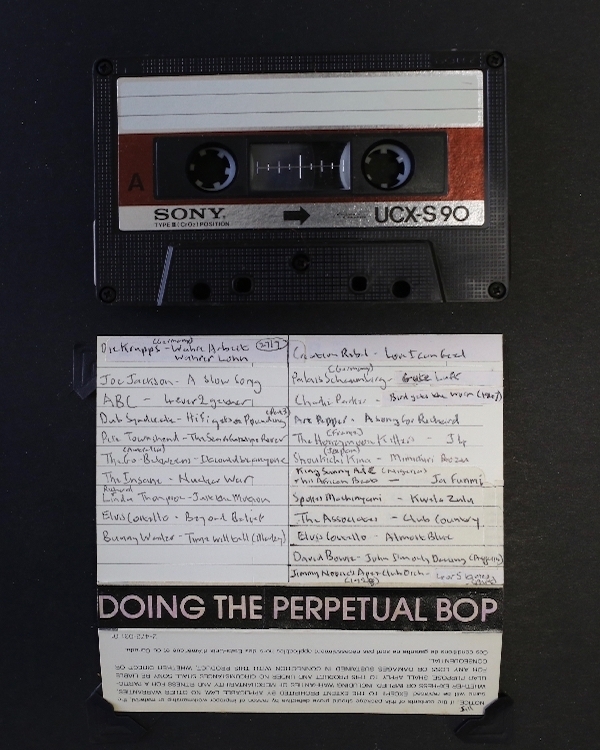 In this listening exhibition, we celebrate the mix-tape in all its idiosyncratic beauty through presenting a selection of mix-tapes from the music collection of Ben Segal. 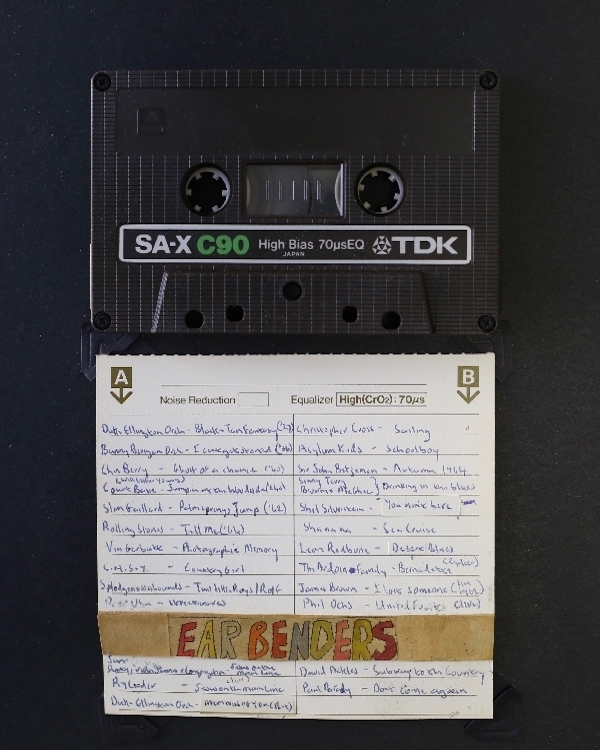 In the Hidden Years music archive we preserve a unique collection of mix-tapes made by Ben Segal from his vast collection of more than 6000 vinyl records (also preserved in the Hidden Years). 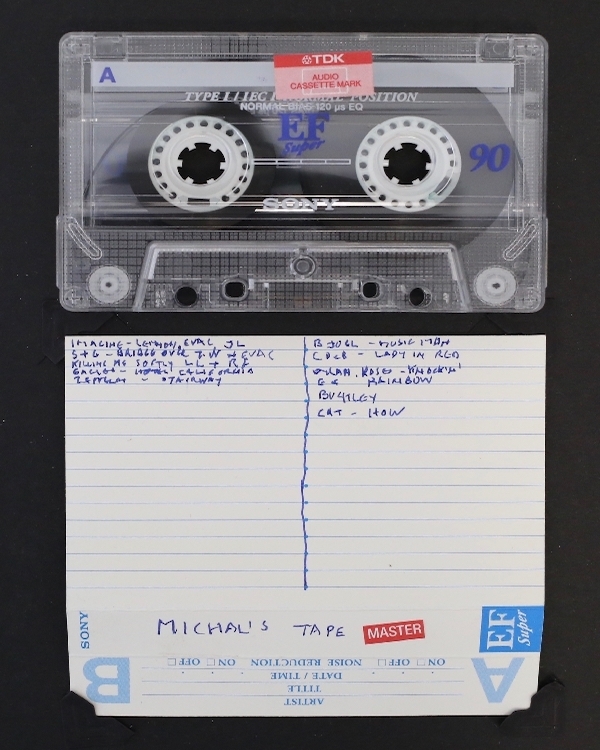 Benjamin (Ben) Segal was born on 3 October 1930 in Vilna Poland (now Vilnius, Lithuania). 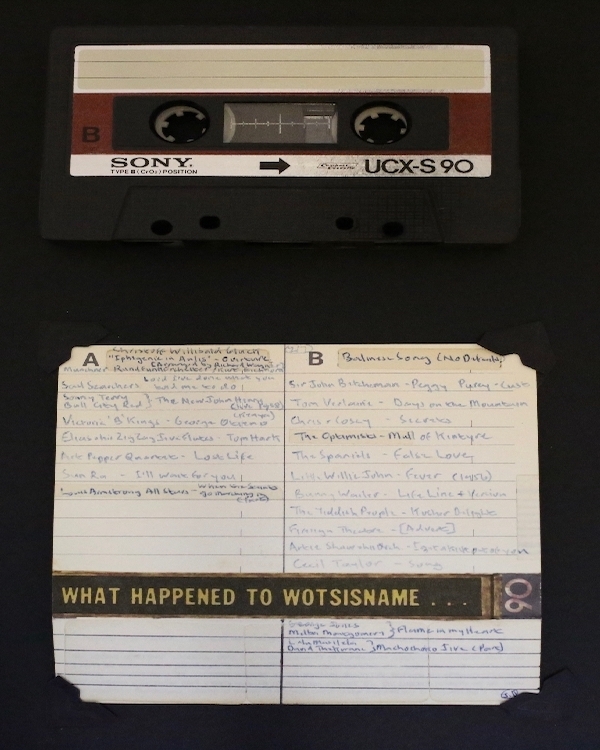 Shortly thereafter his parents moved to South Africa and settled in Johannesburg. 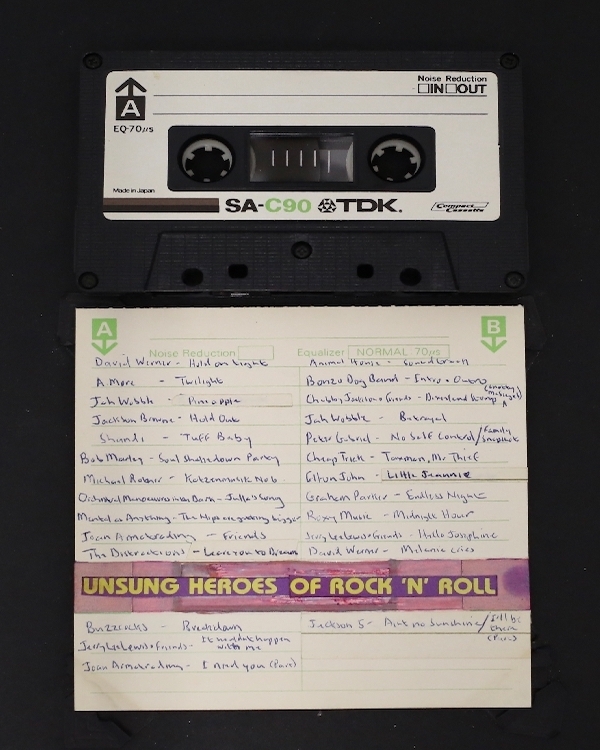 For most of his life, Ben Segal remained active in the South African music scene as a devoted collector and music enthusiast. His collection, consisting mostly out of music that wasn’t readily available during the apartheid years in South Africa due to the government’s censorship laws, drew musicians and artists to his house. 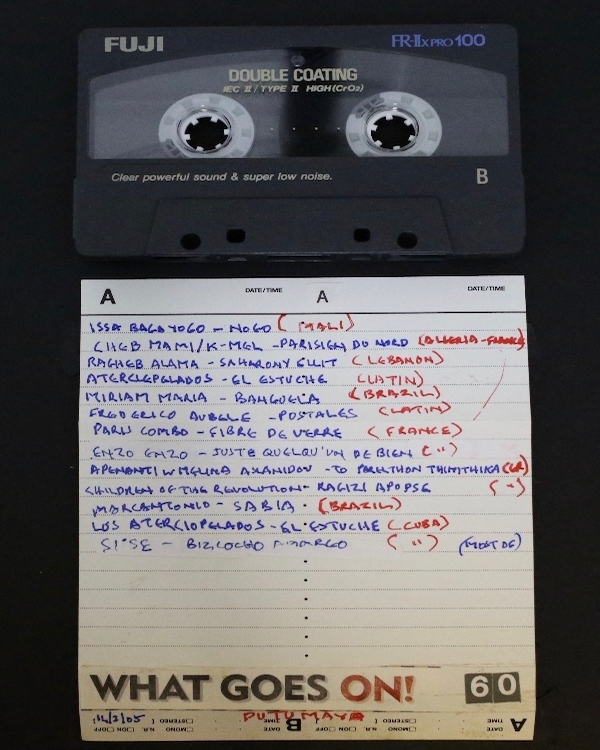 Segal also recorded many musicians in his lounge, the first recording of which was the Malombo group in 1965. 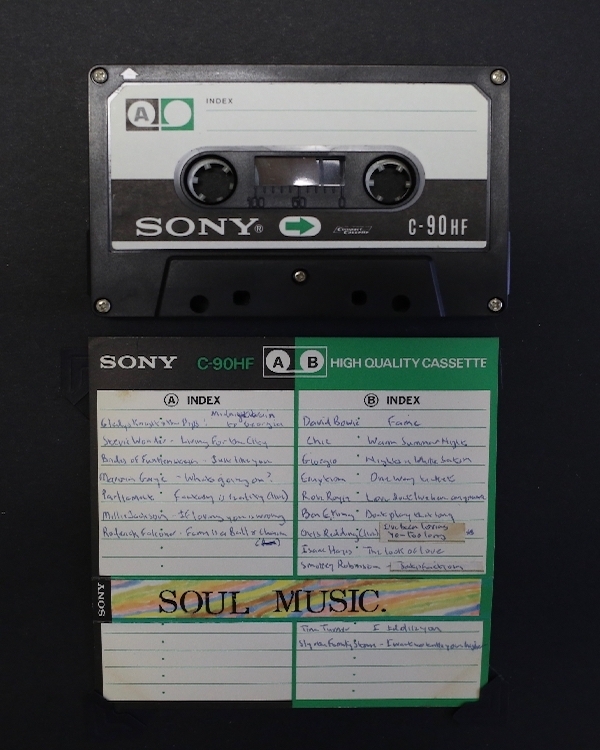 In 1967, Ben Segal and Audrey Smith established a small independent record company, the 3rd Ear Music Company, through which to produce and record the music they were hearing on the streets and in the small coffee clubs of Johannesburg. 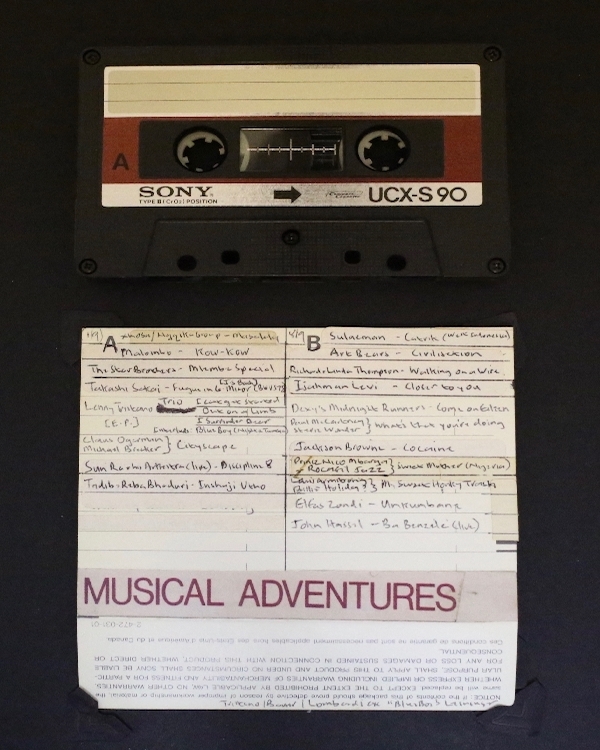 For more than forty years, Ben Segal’s house served as a meeting place and informal recording studio for many of South Africa’s great singer-songwriters. 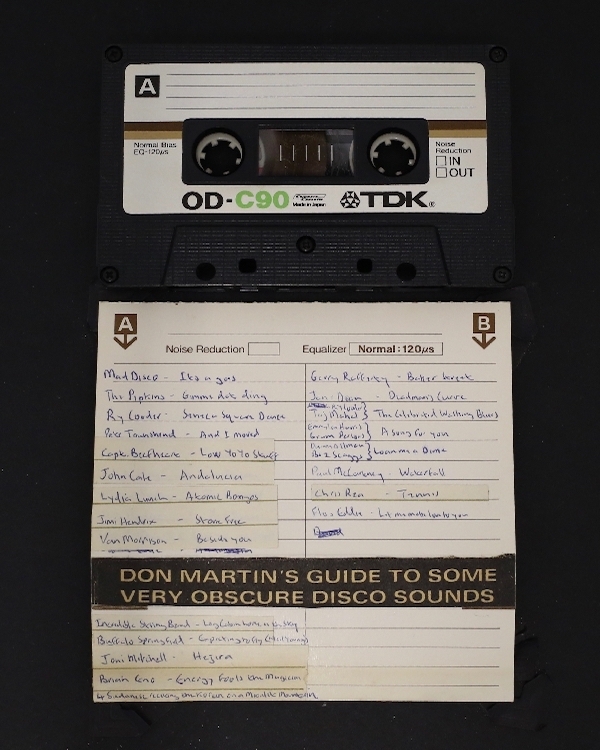 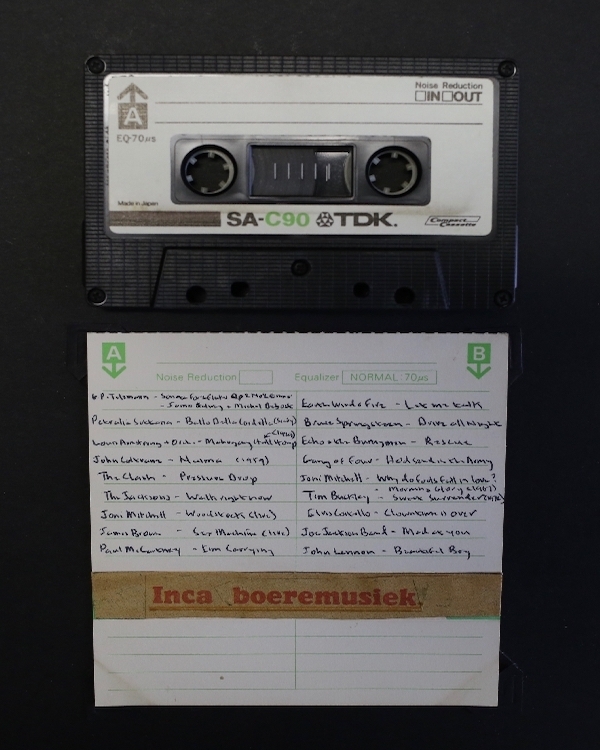 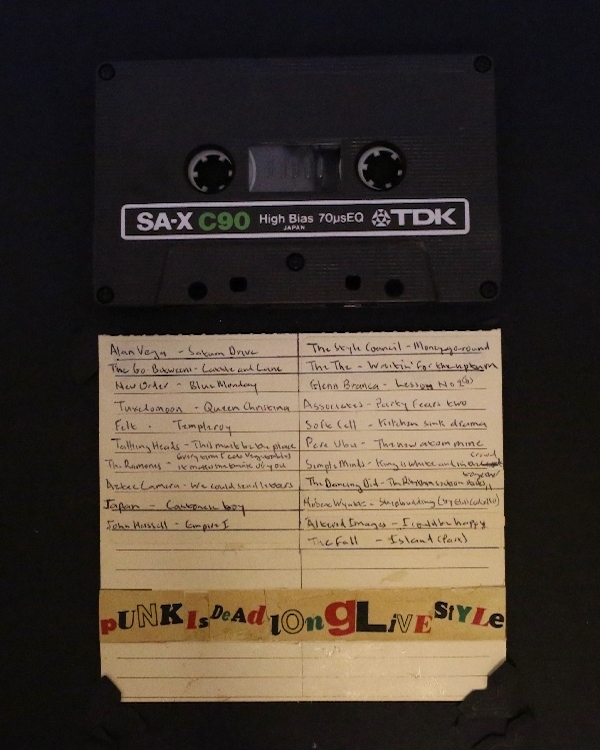 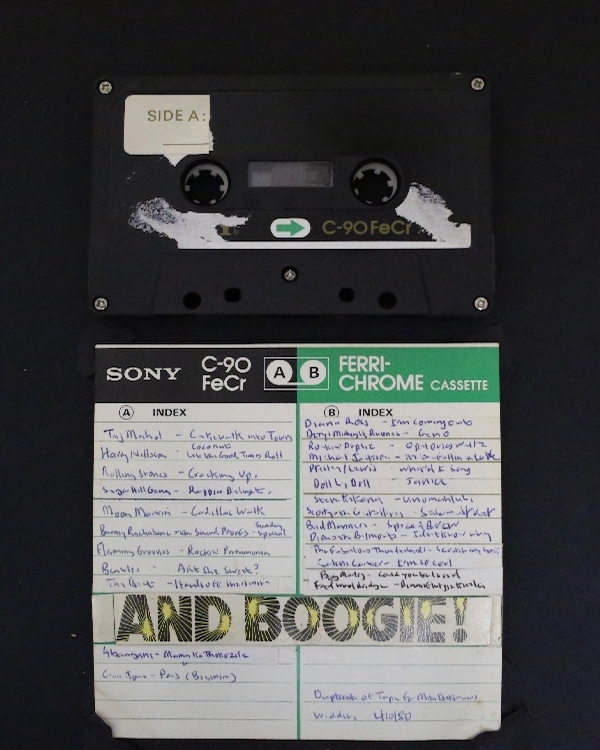 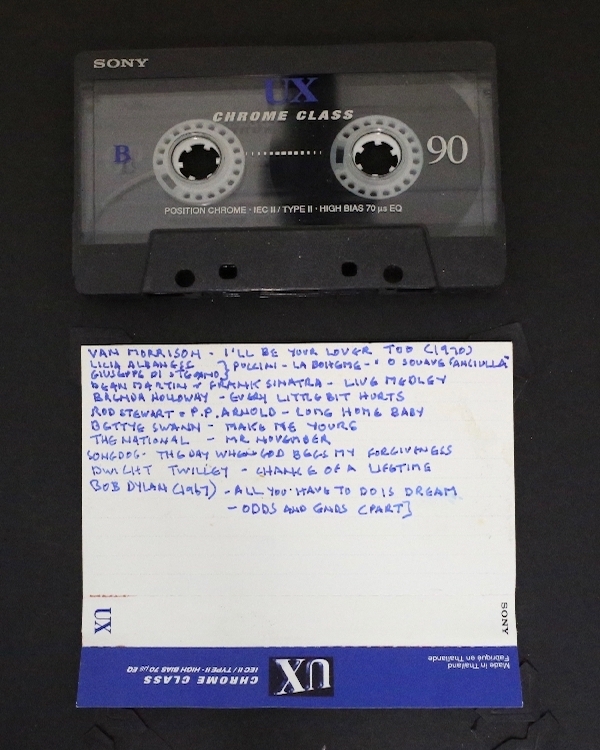 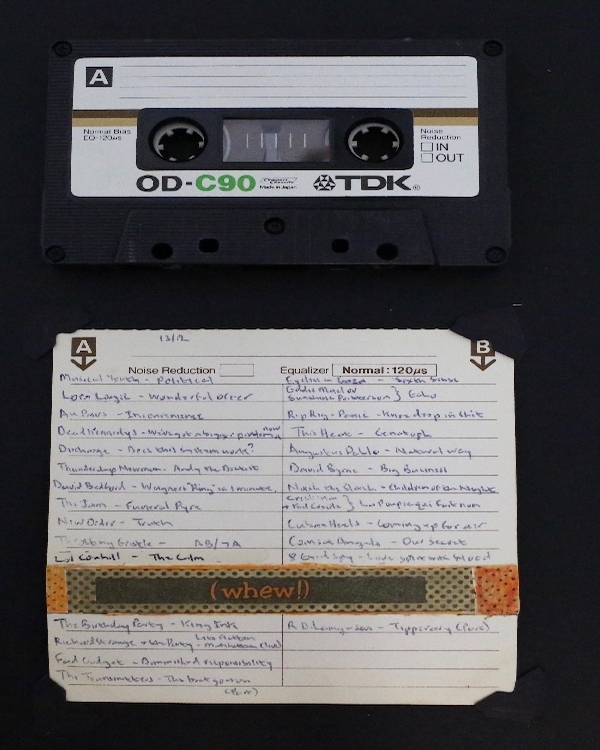 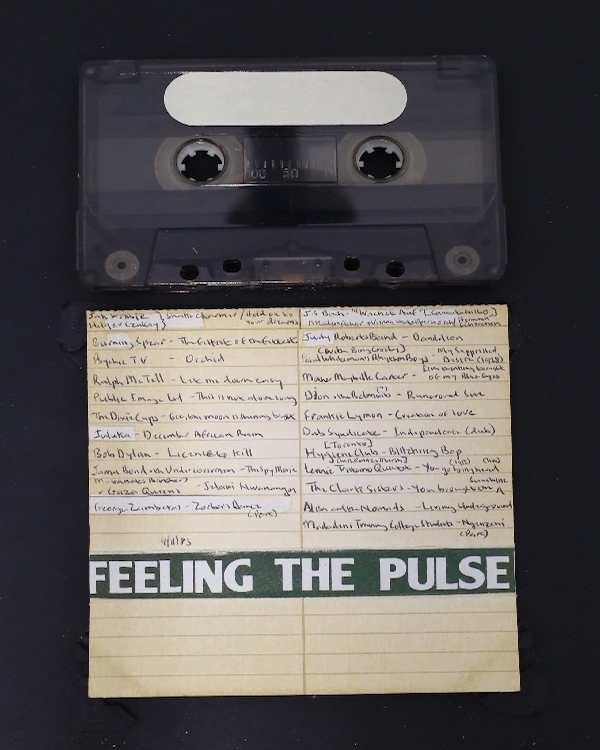 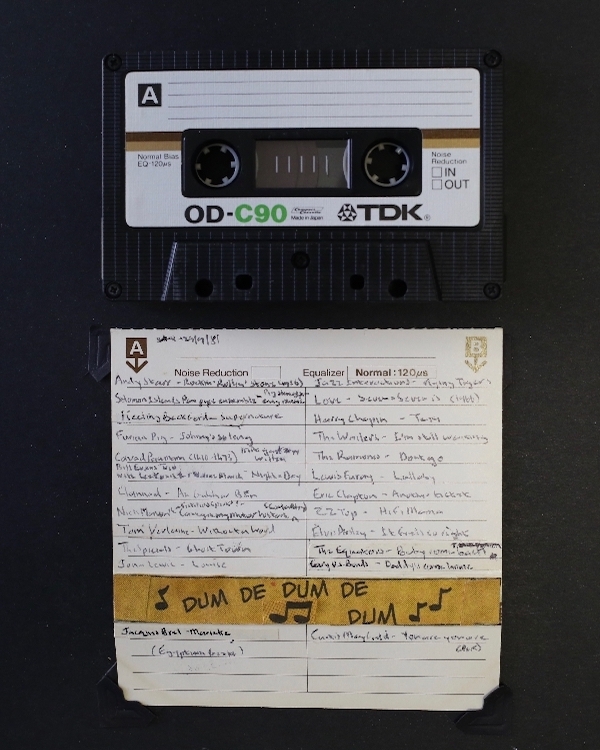 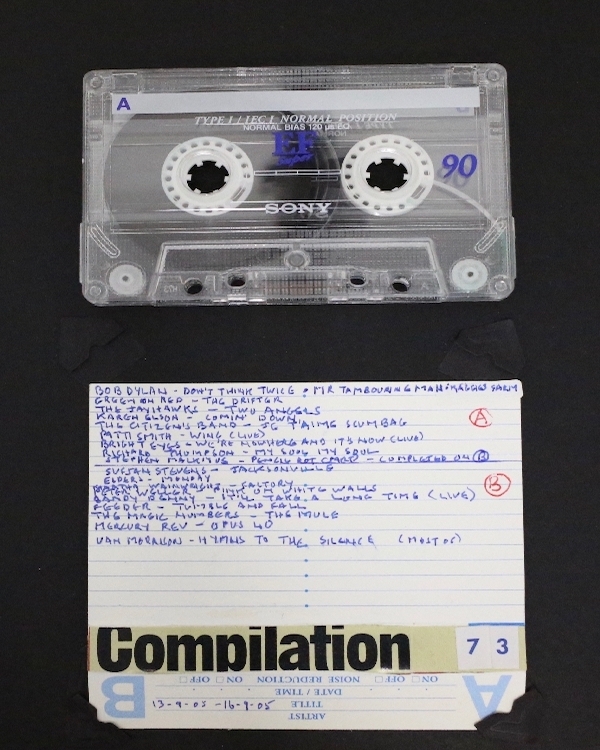 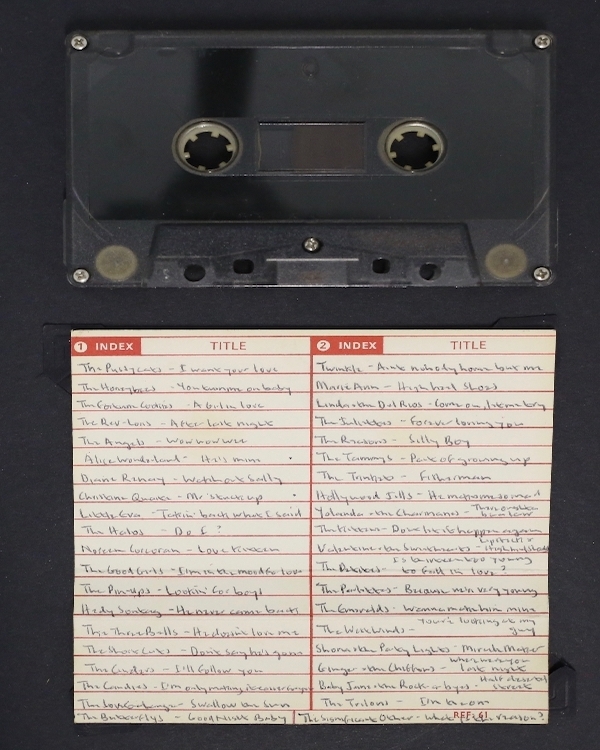 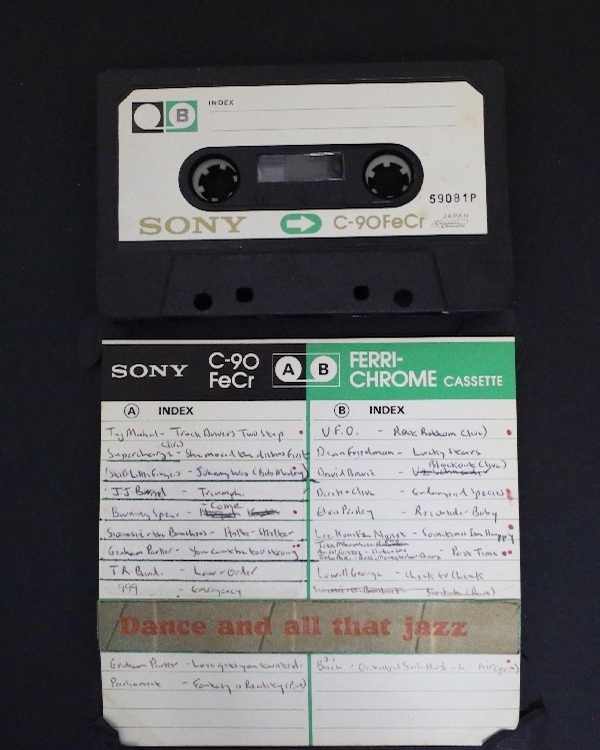 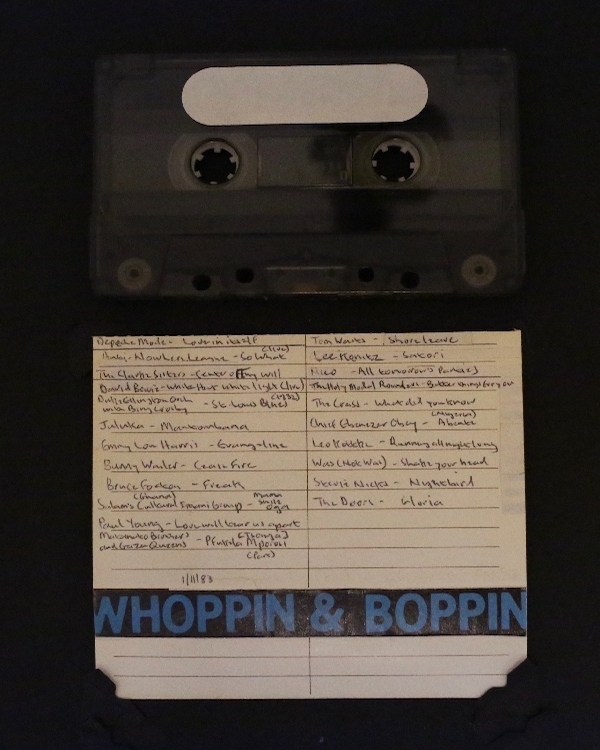 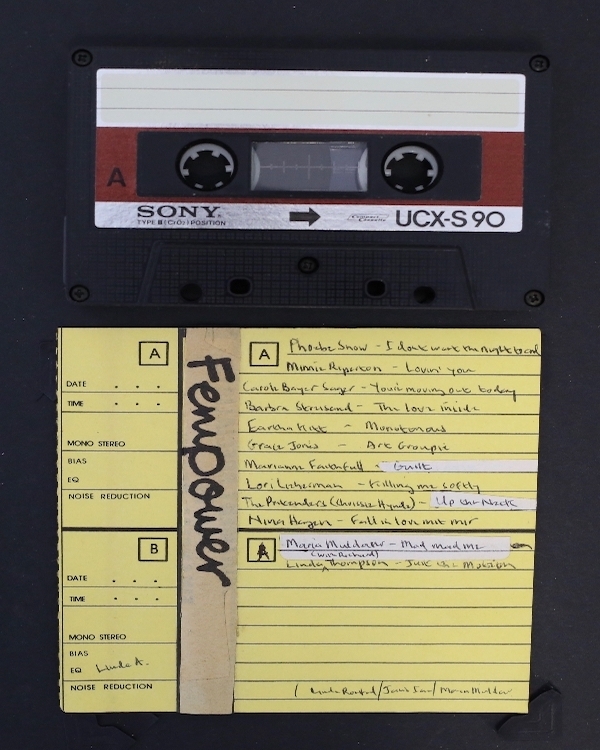 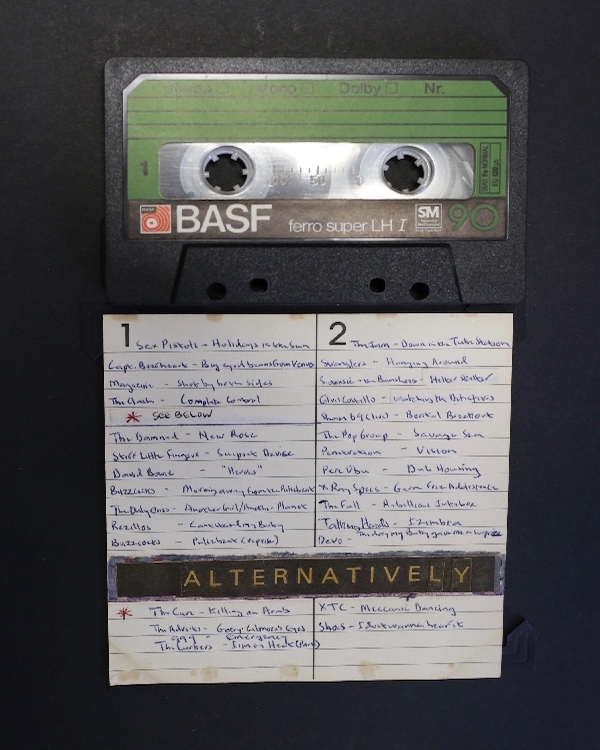 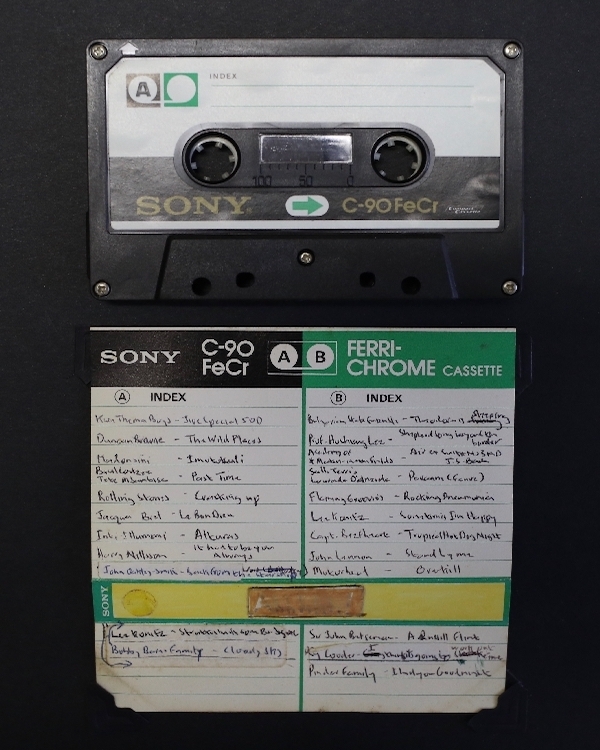 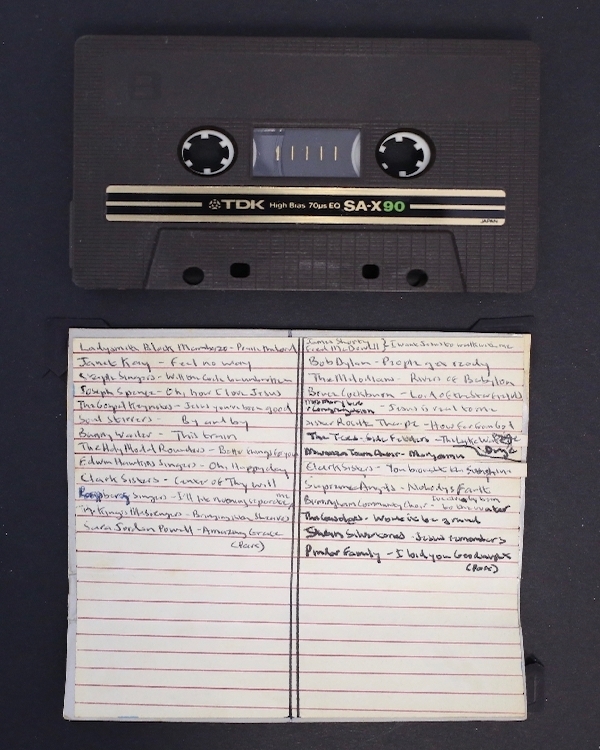 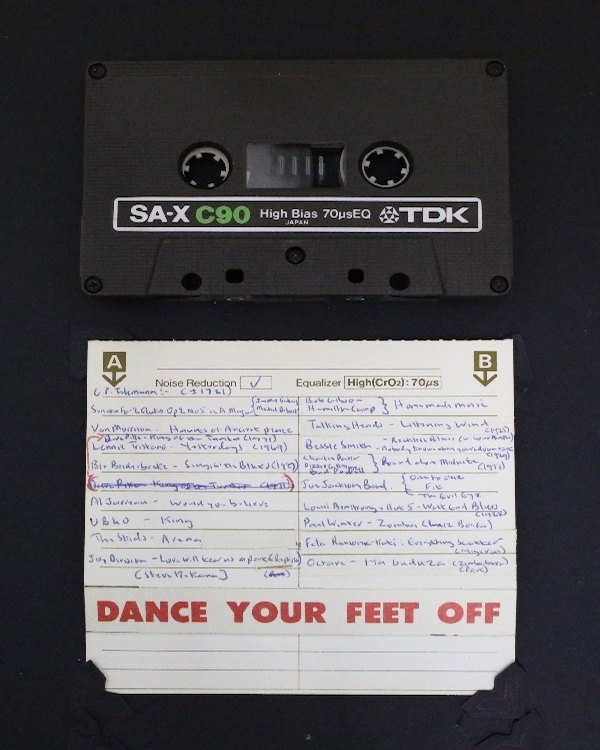 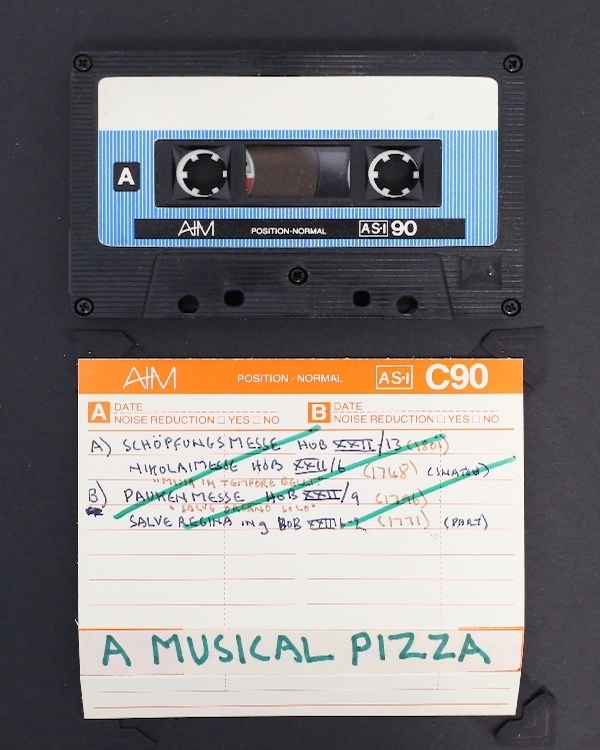 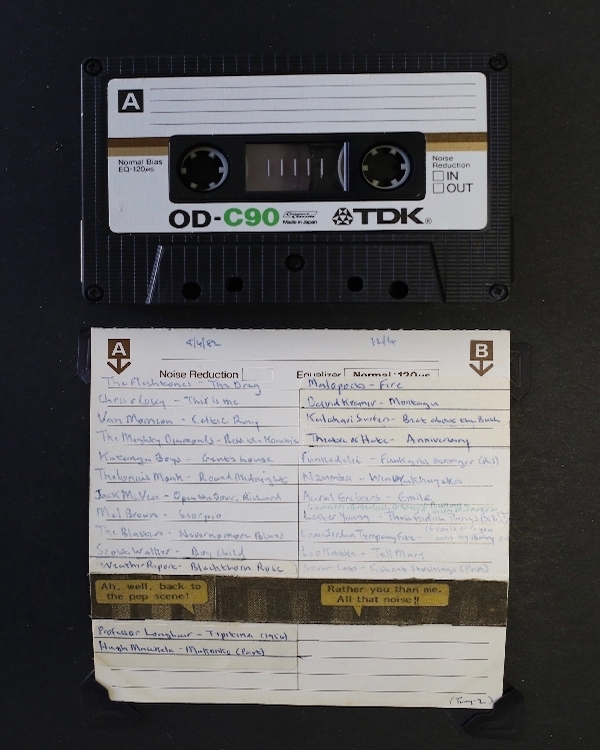 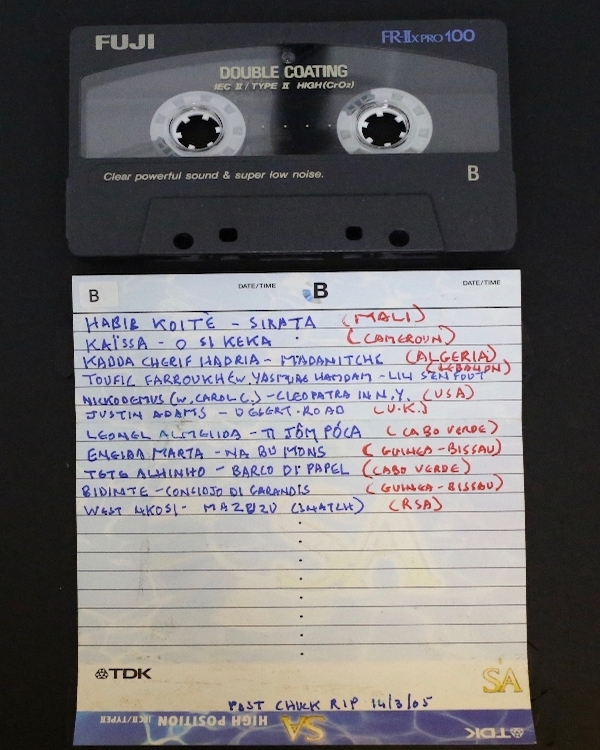 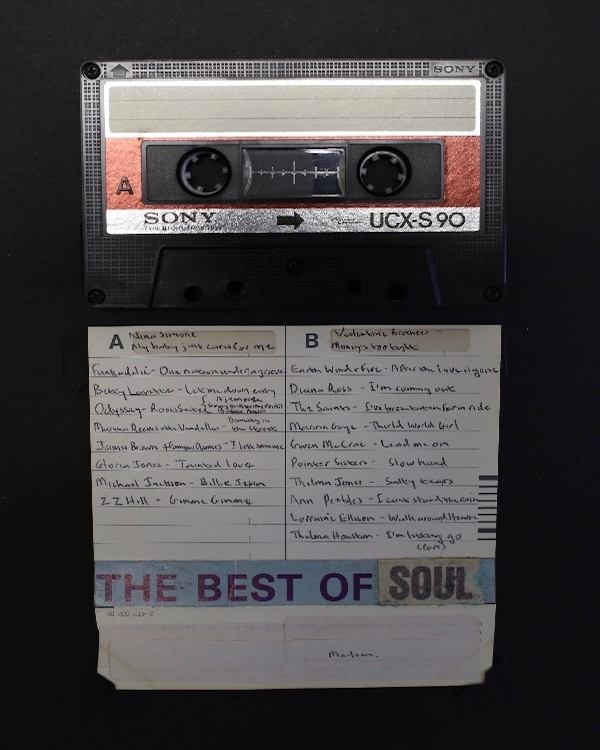 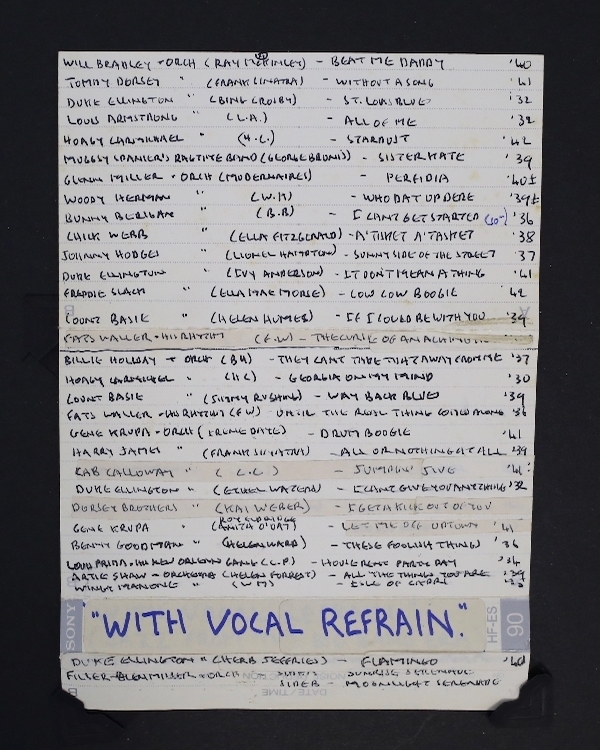 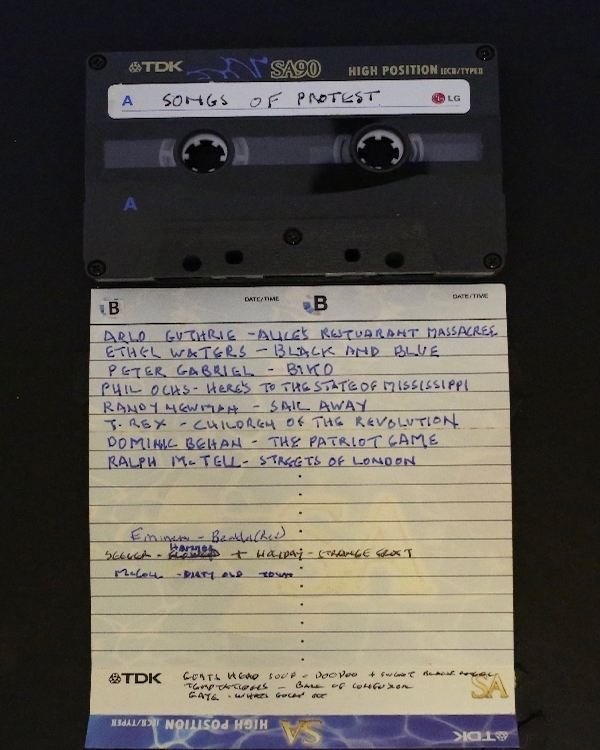 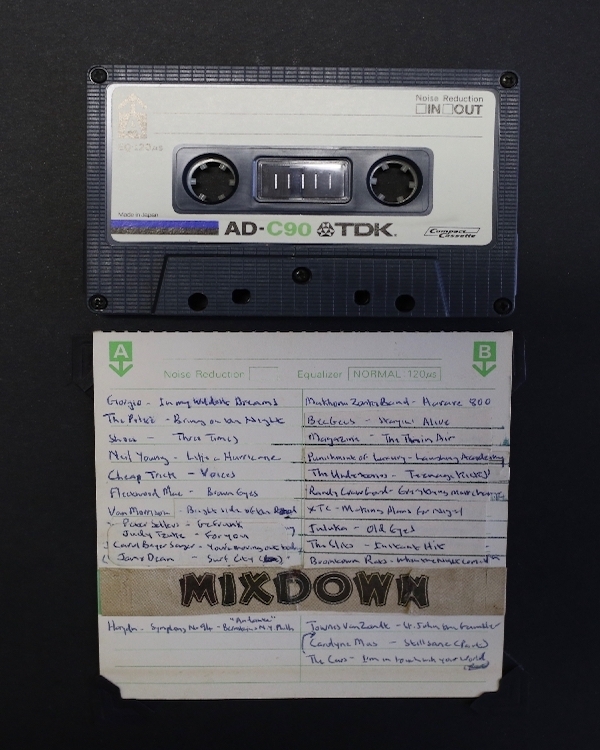 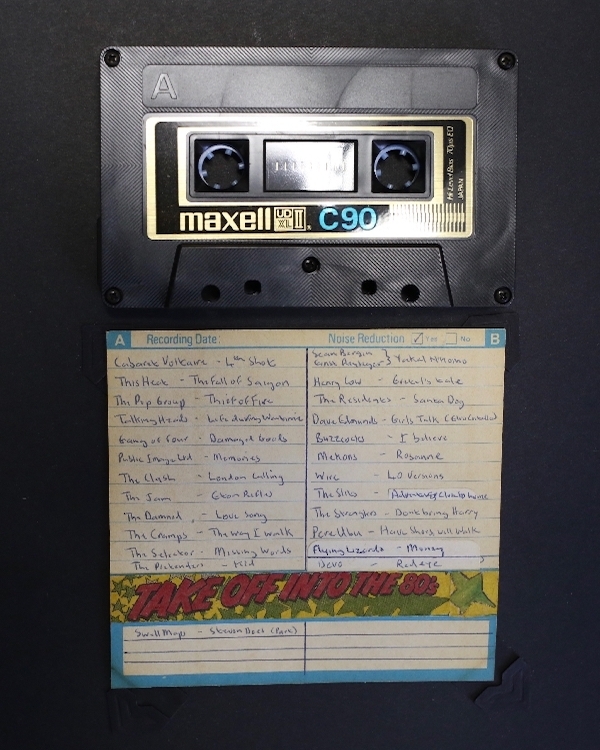 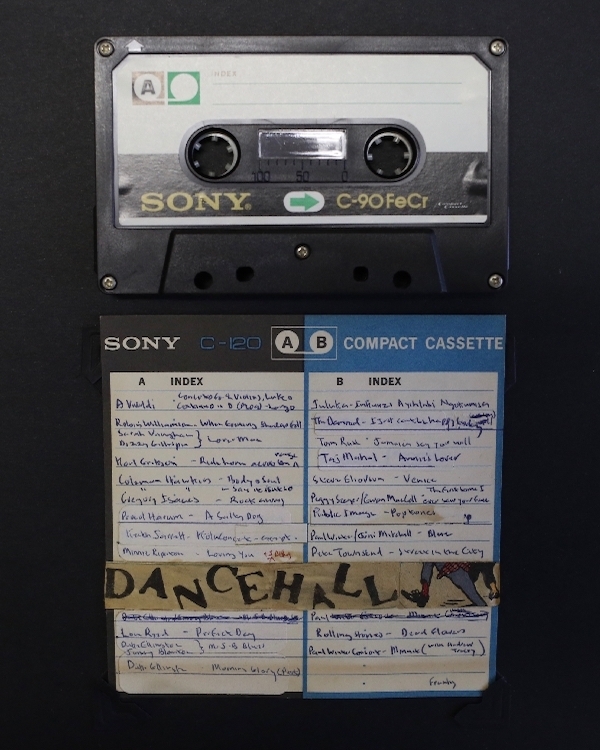 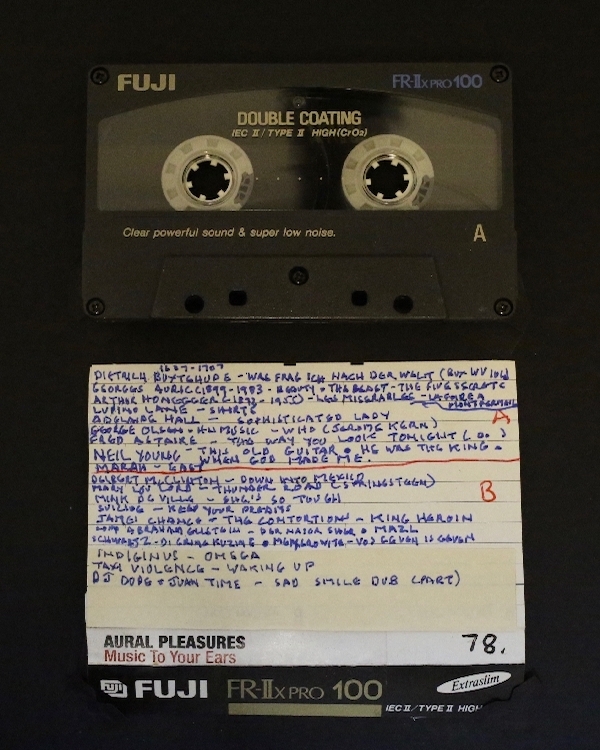 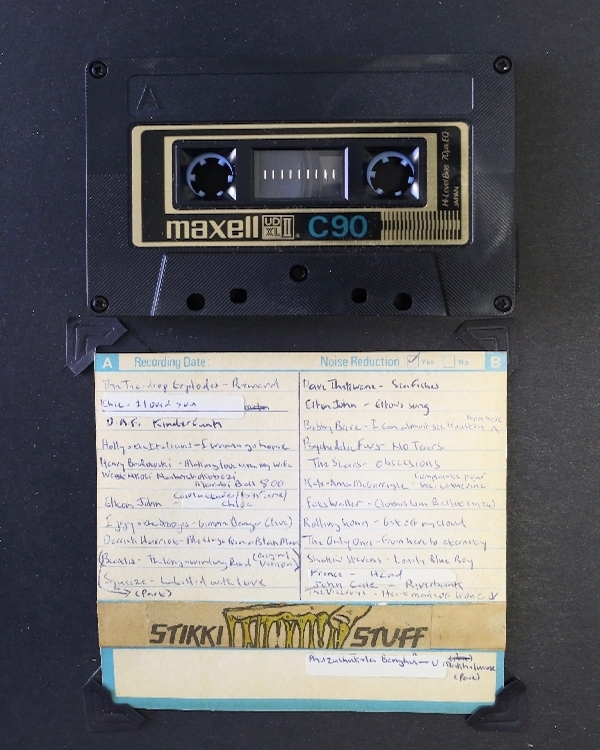 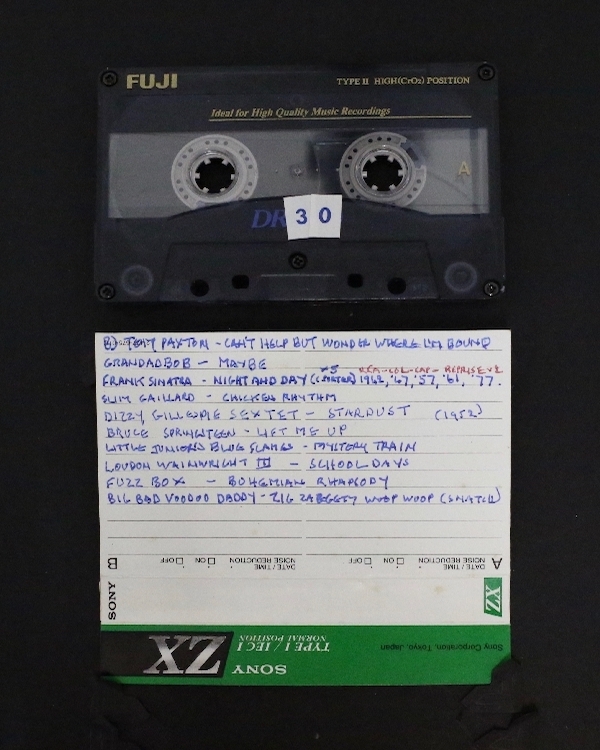 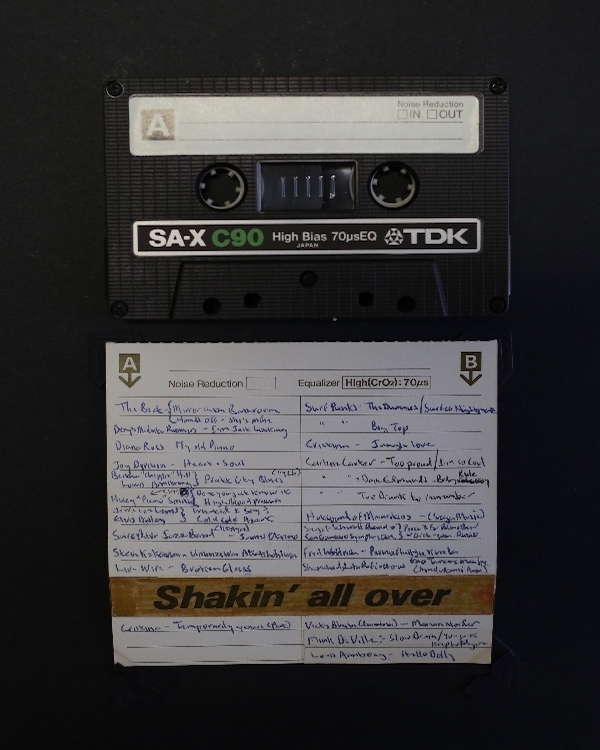 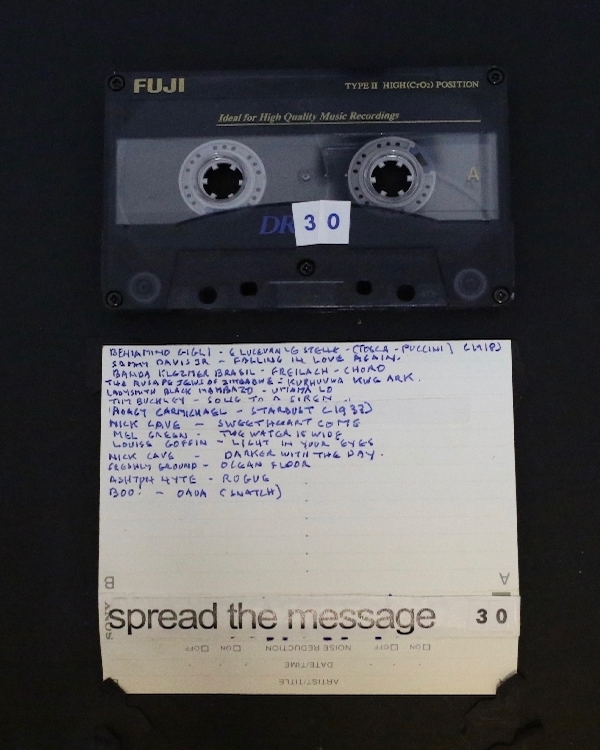 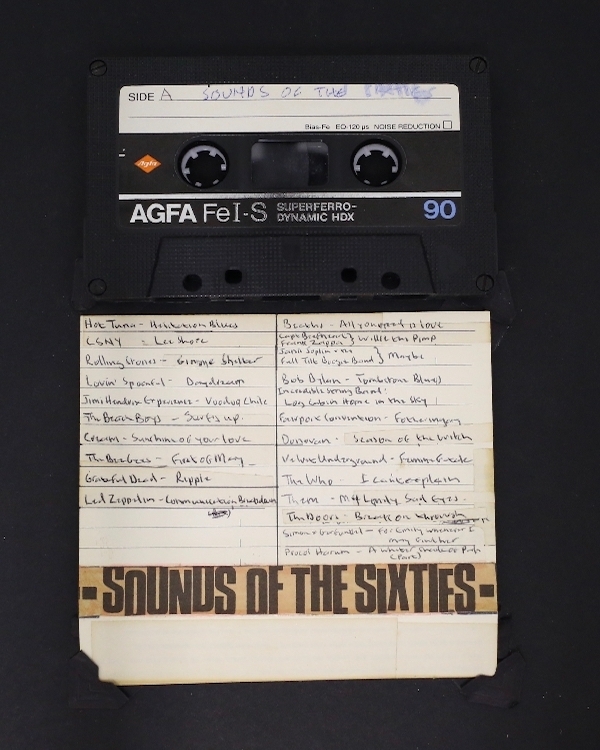 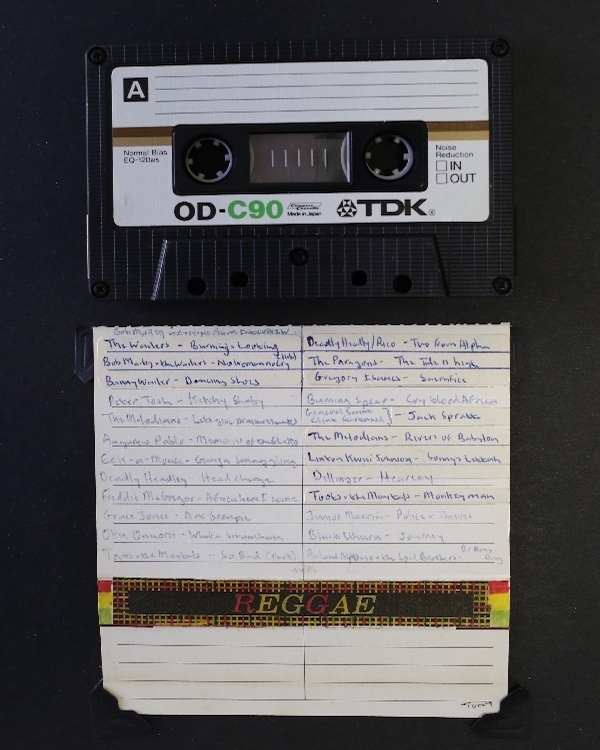 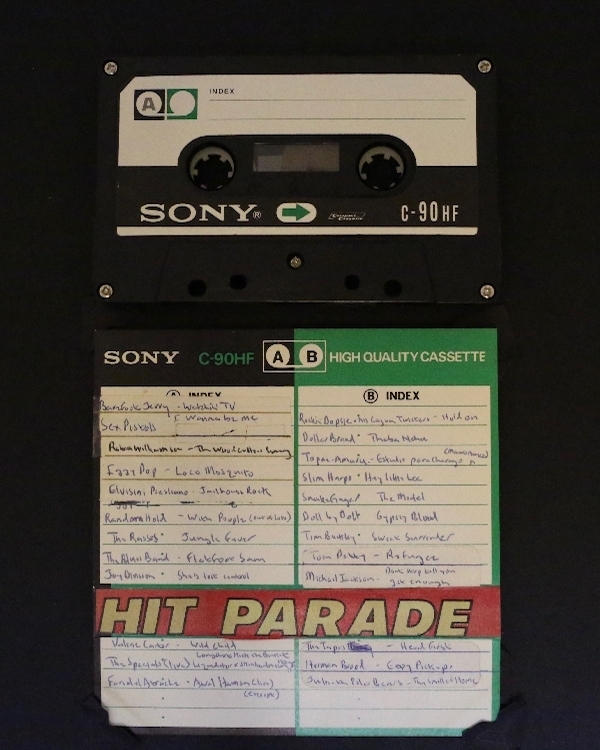 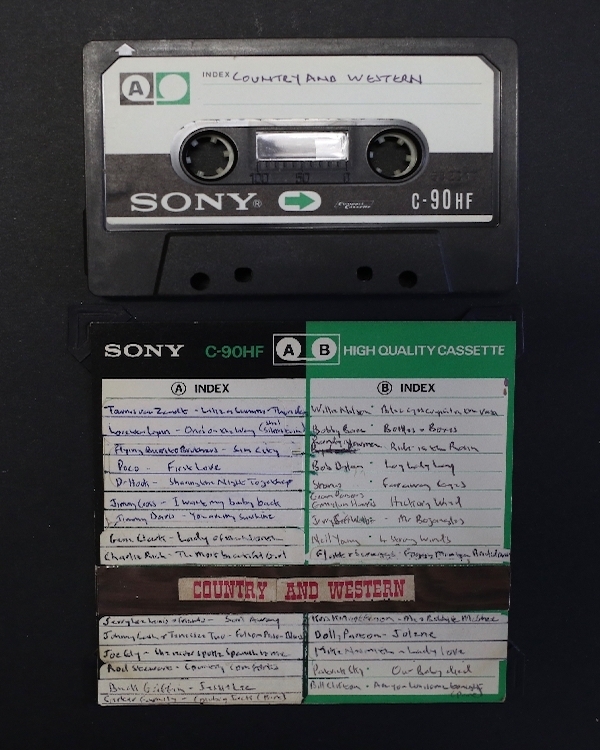 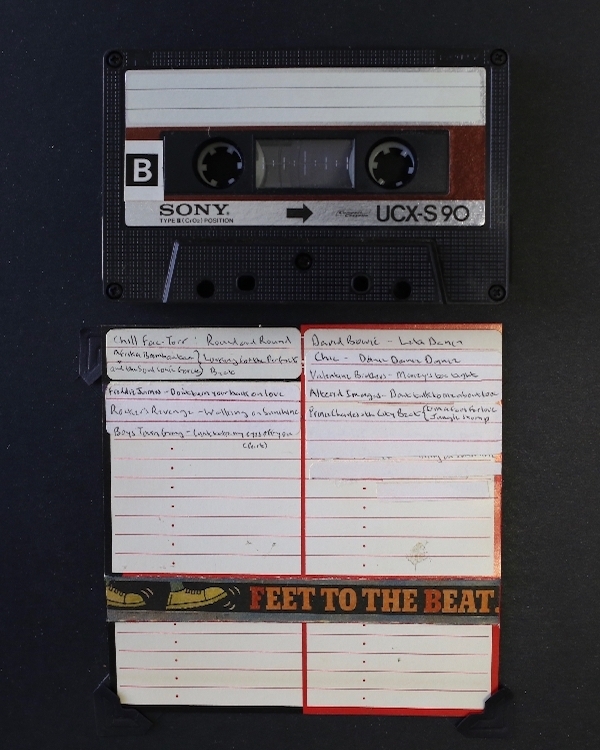 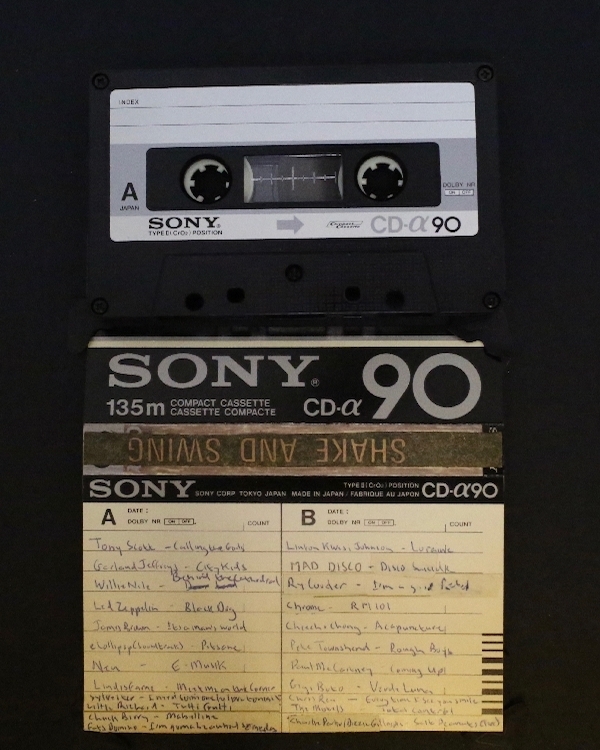 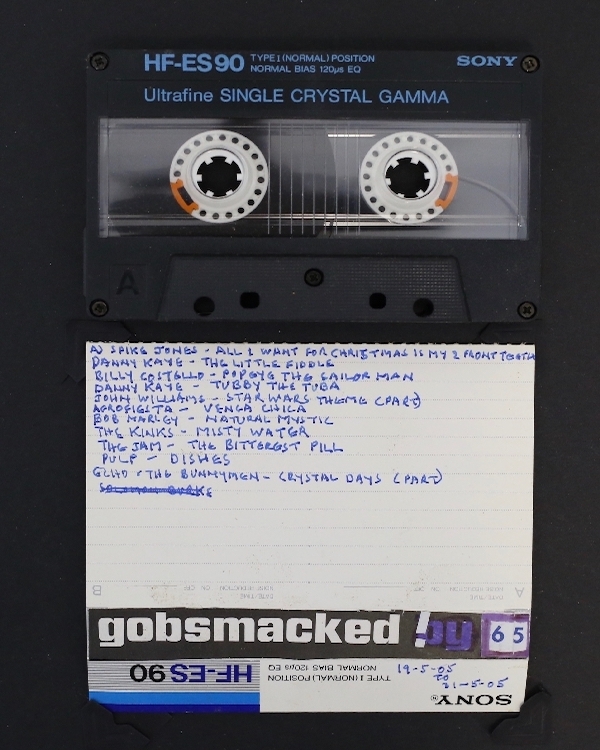 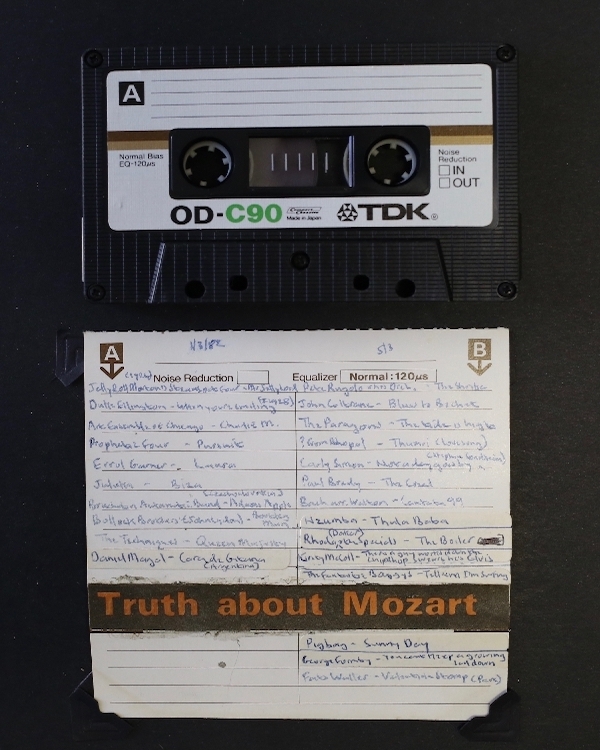 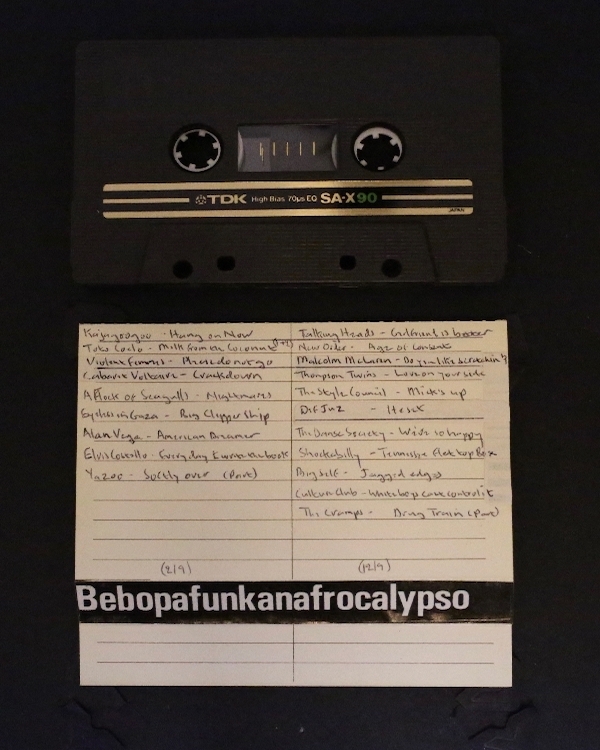 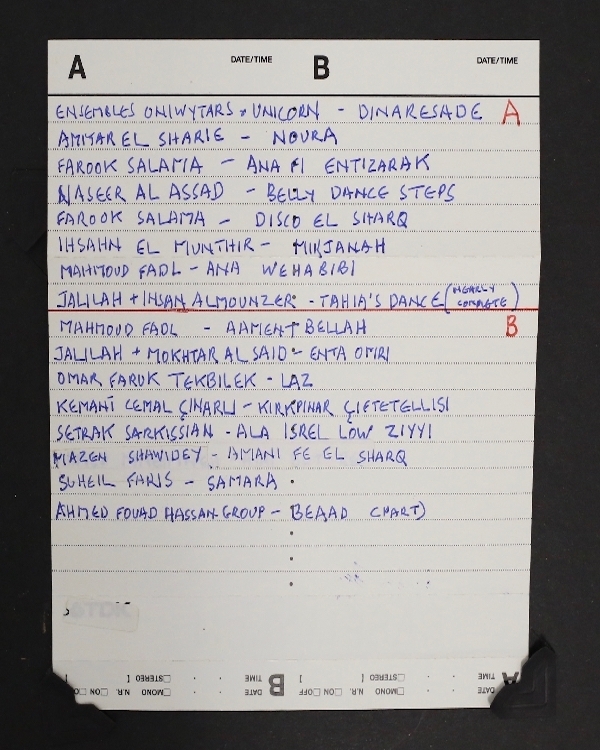 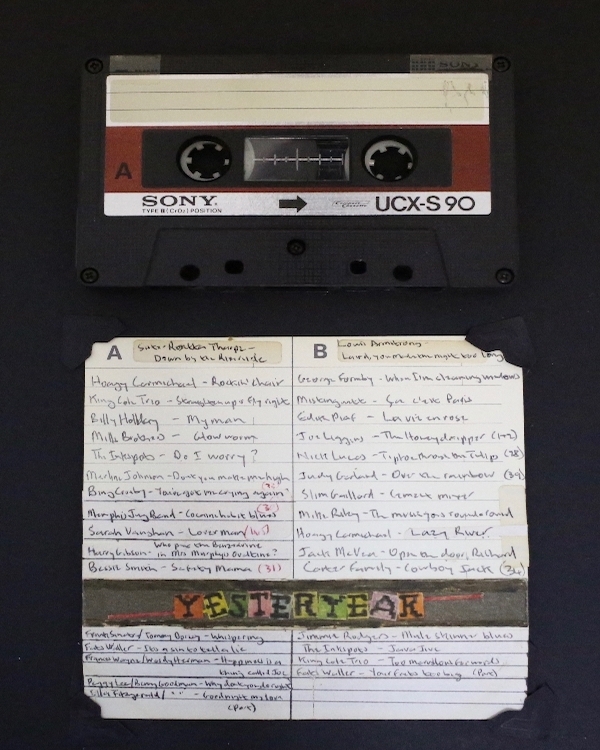 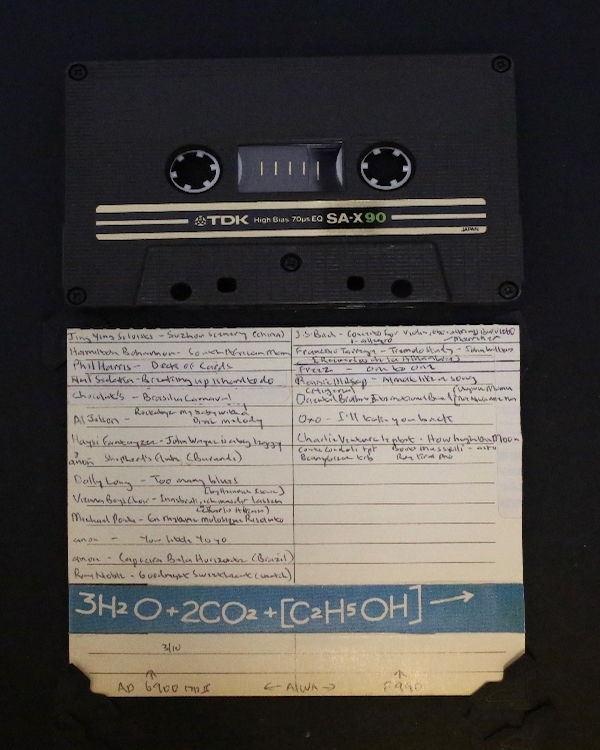 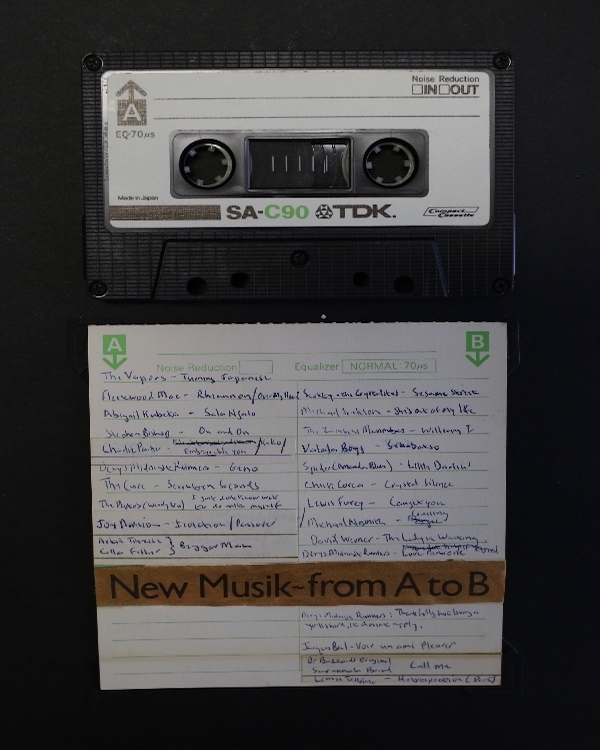 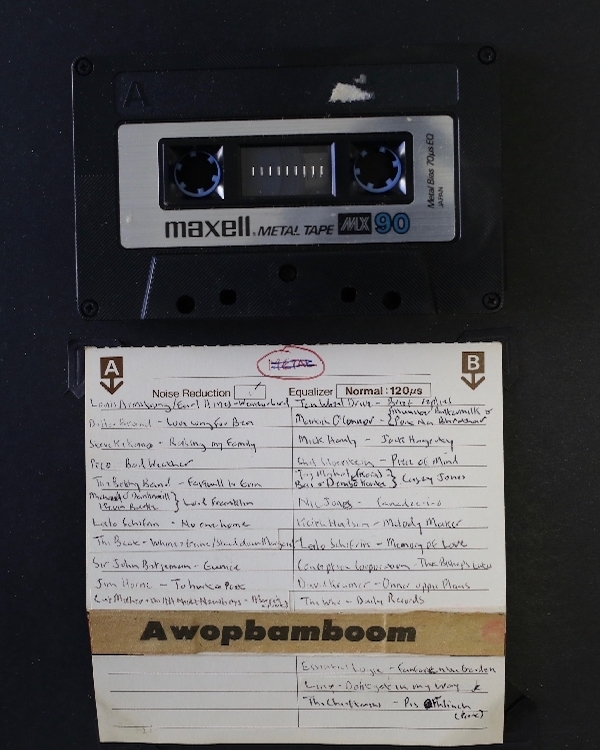 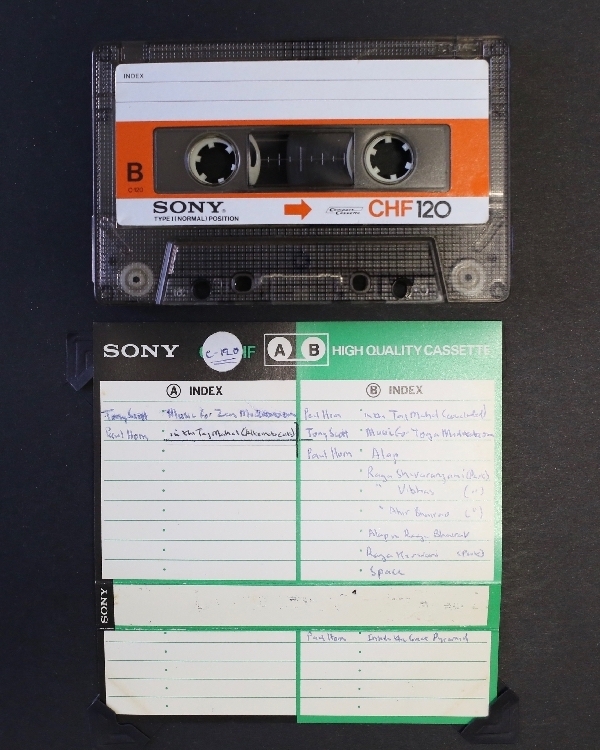 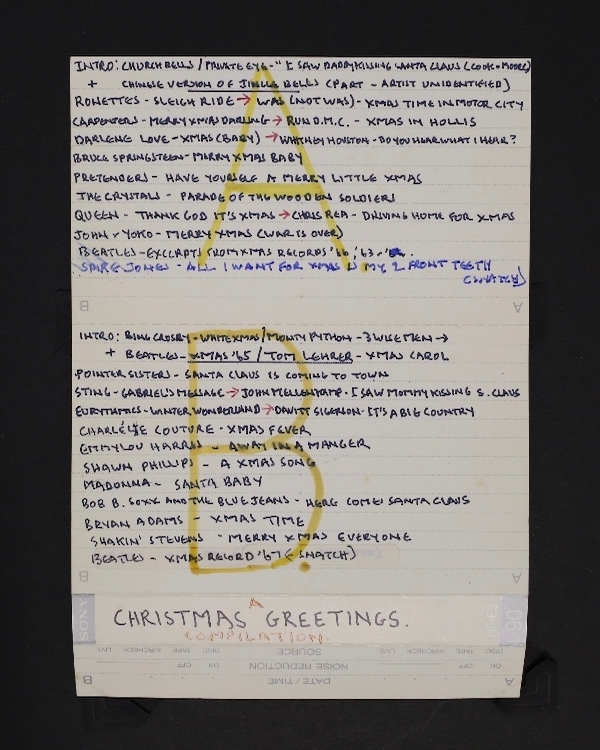 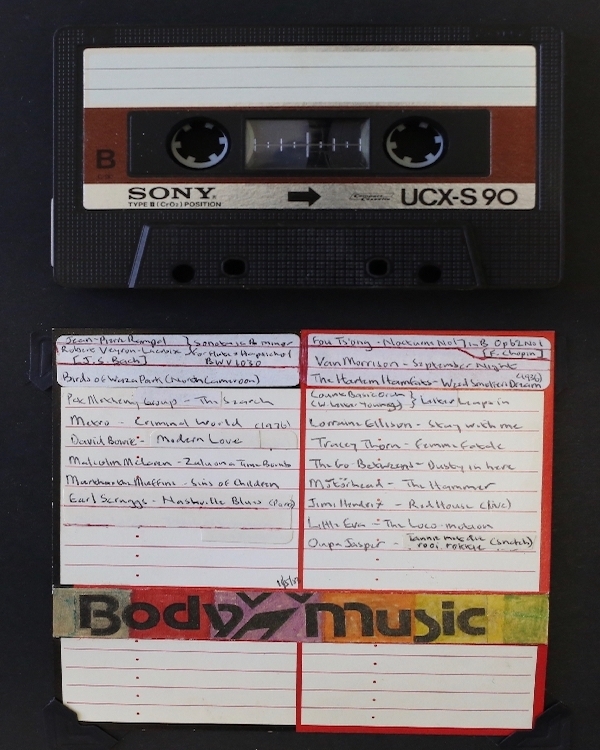 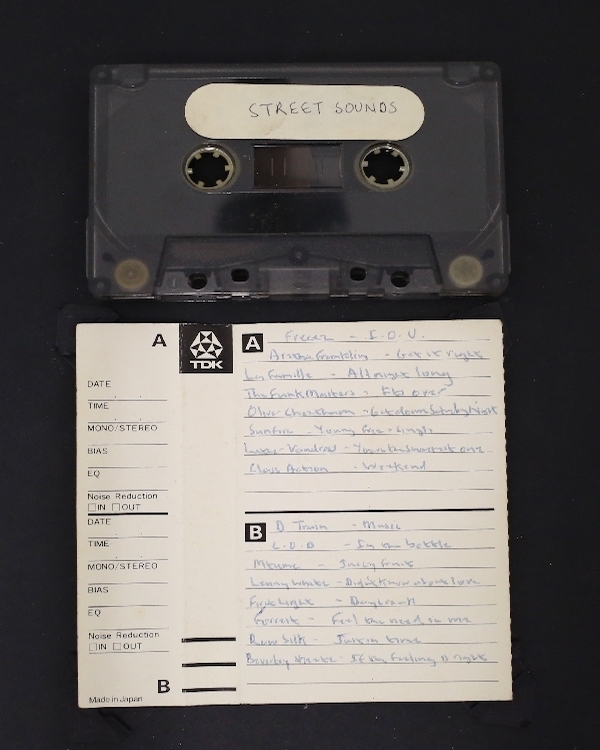 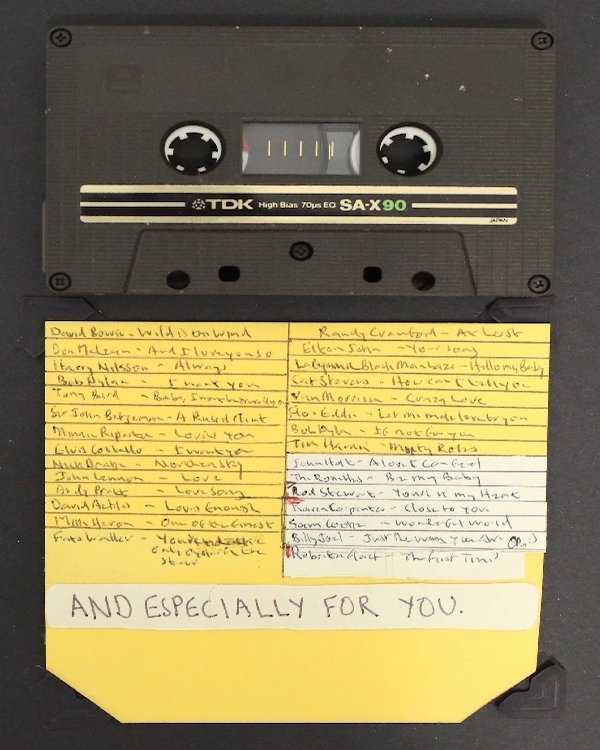 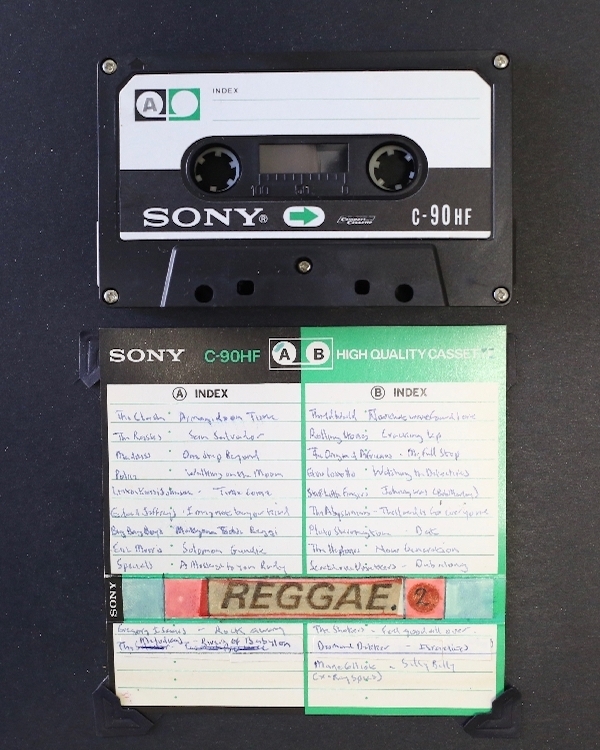 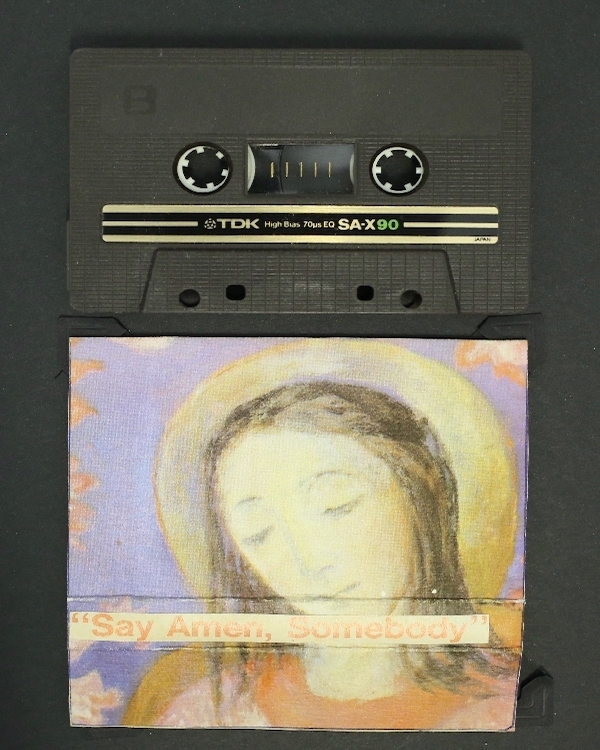 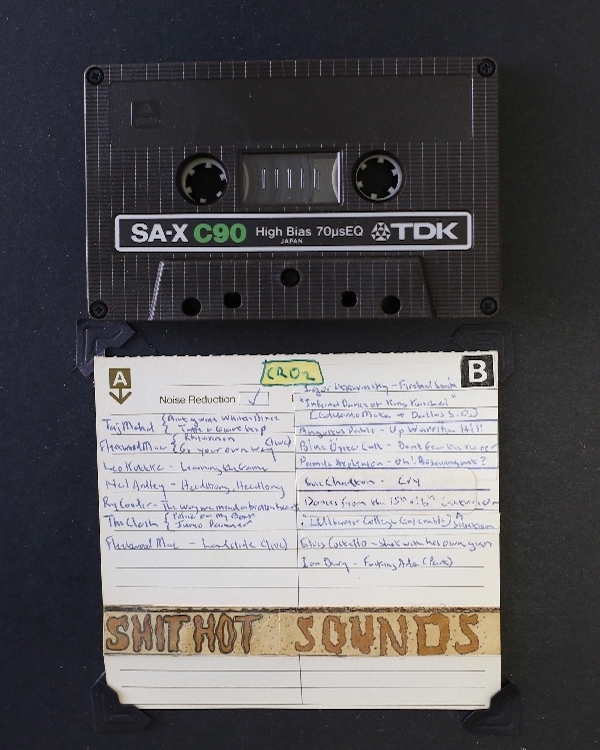 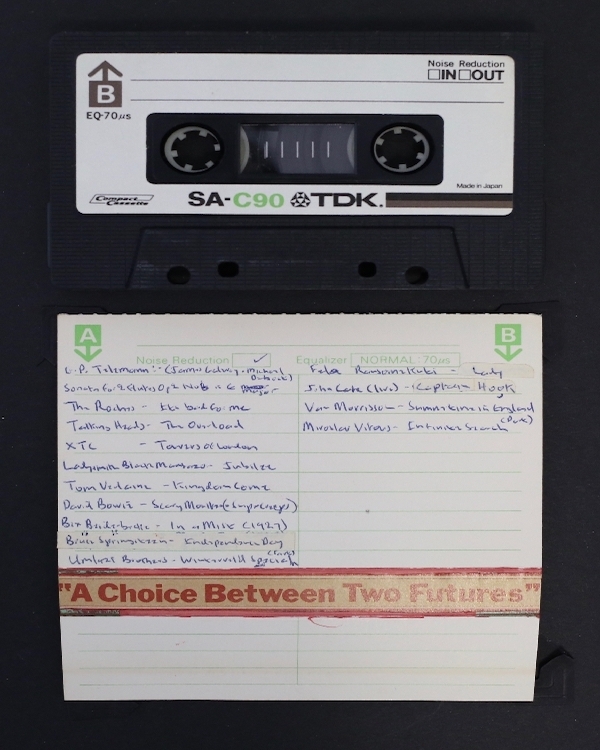 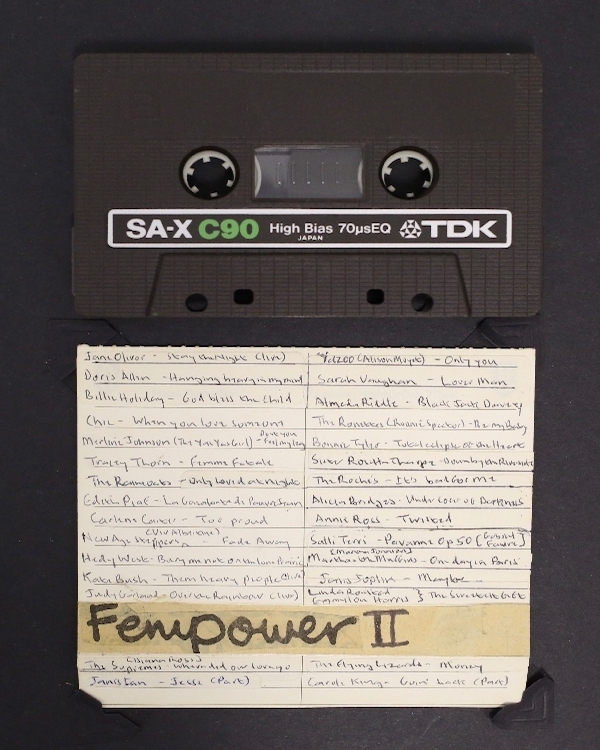 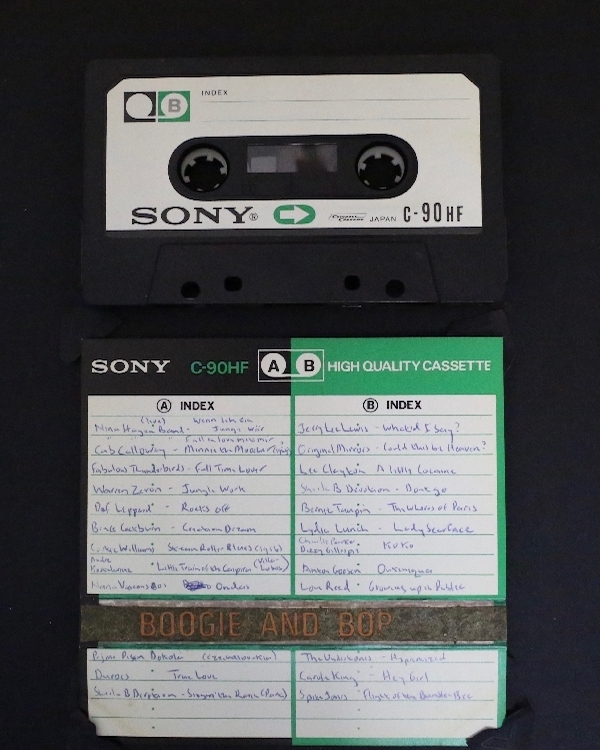 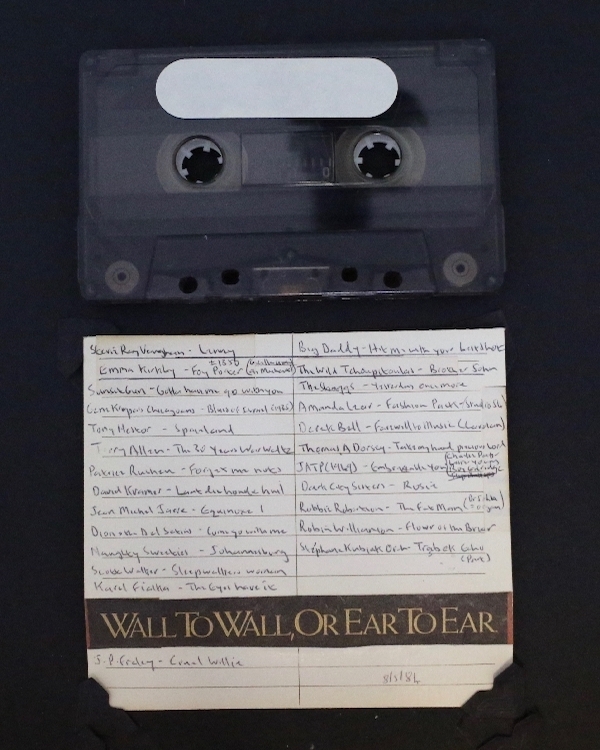 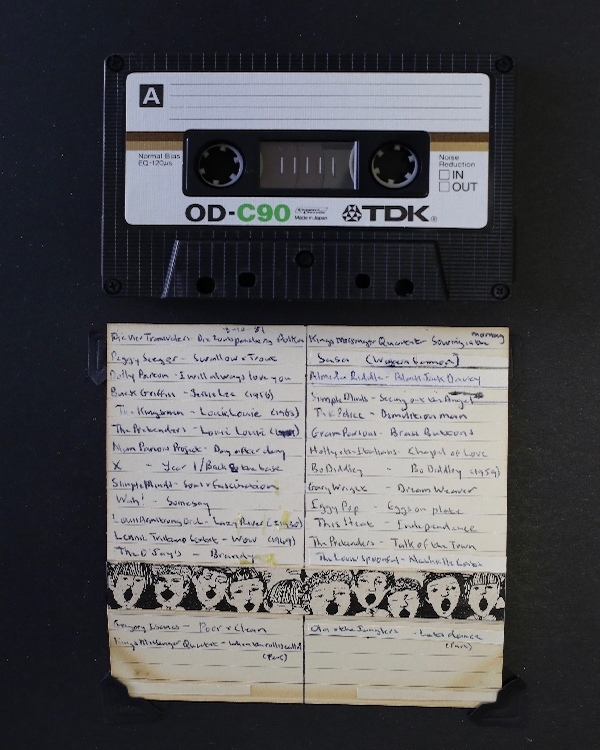 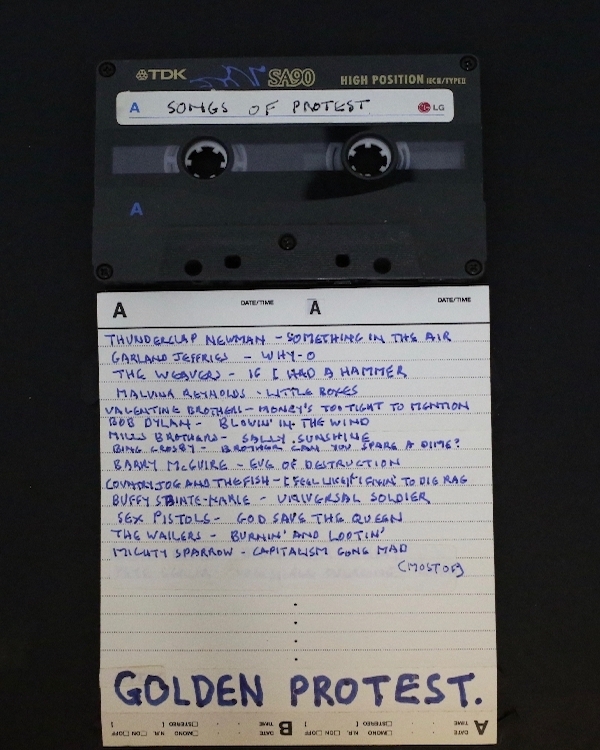 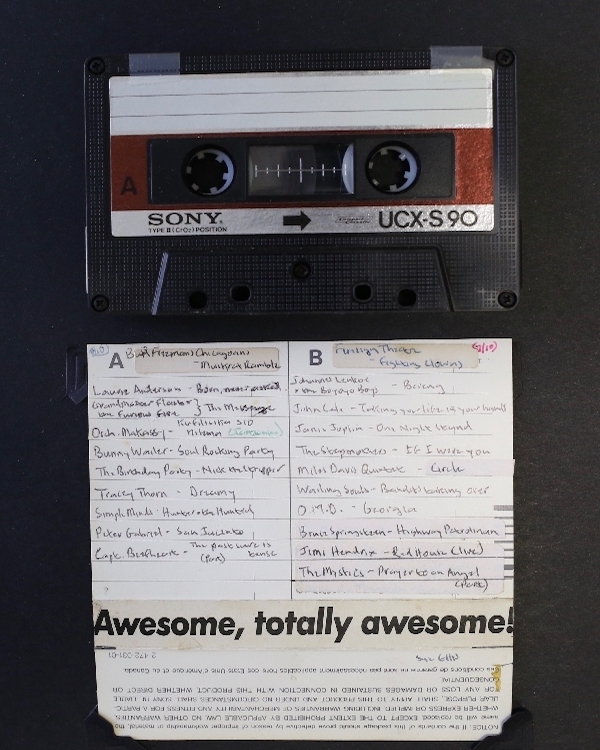 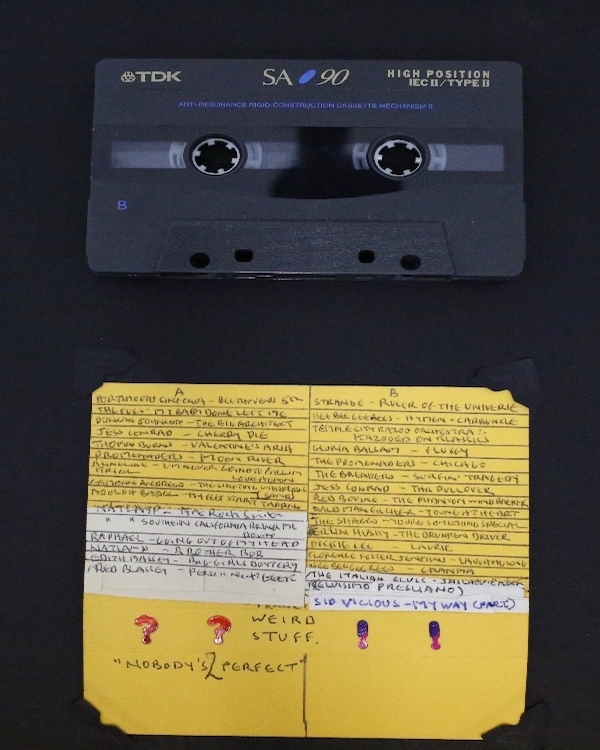 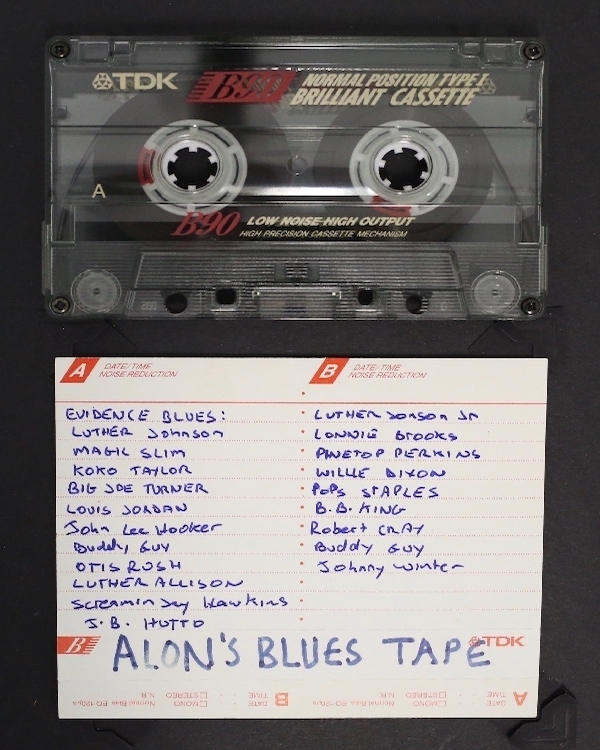 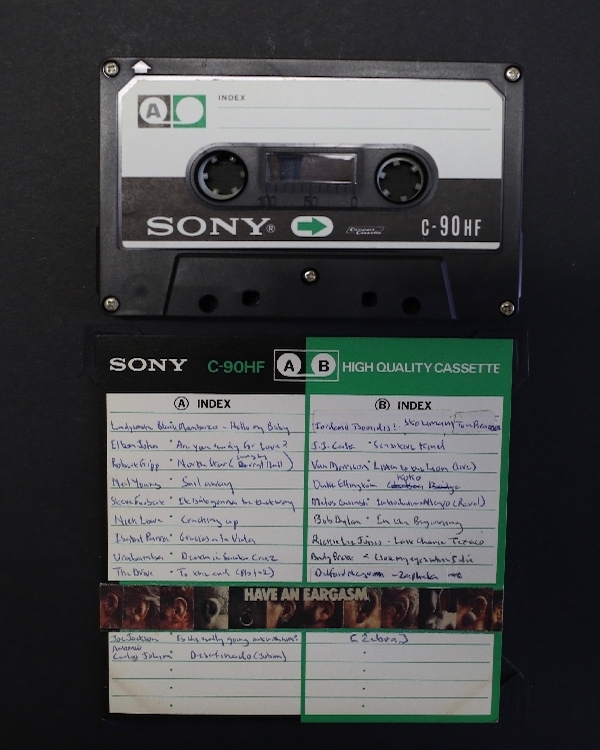 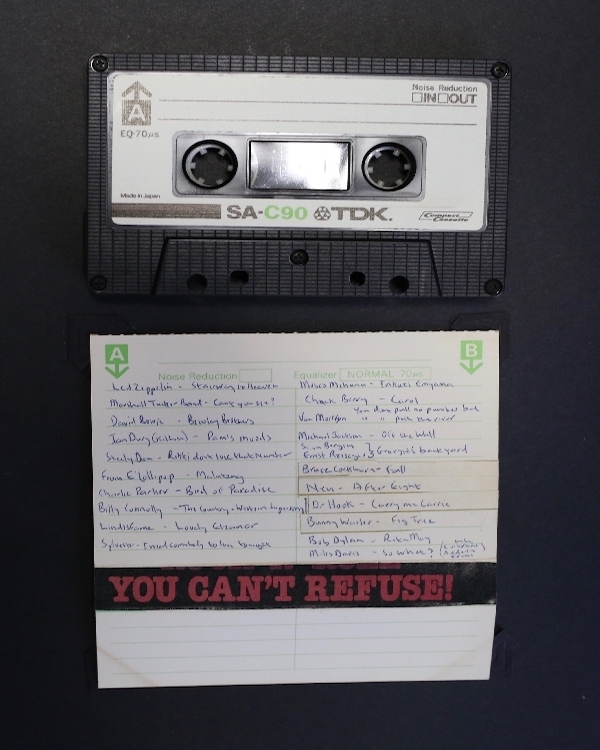 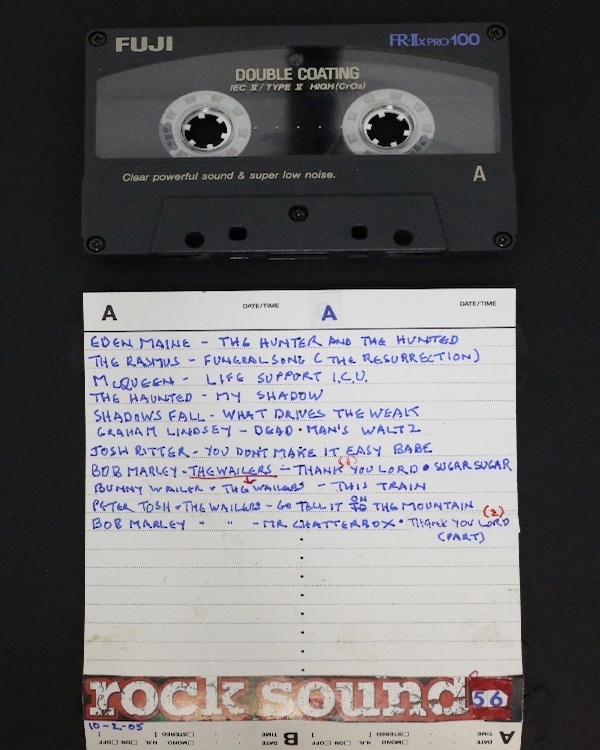 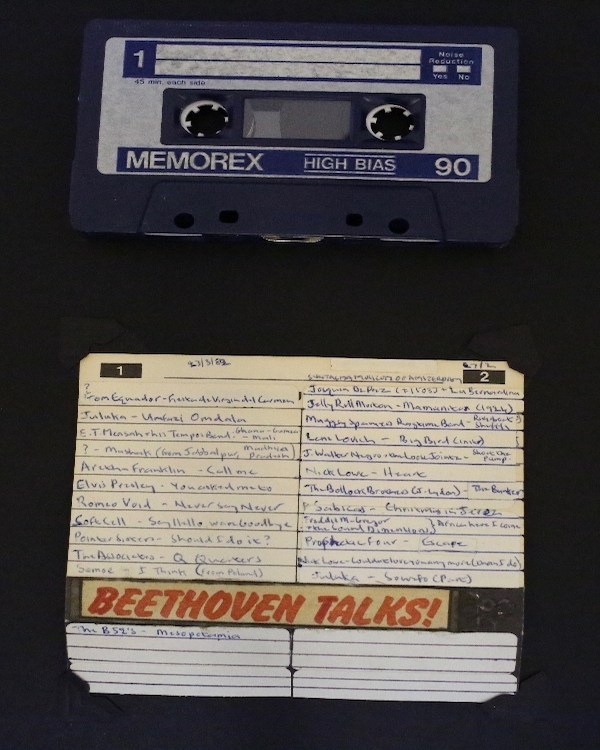 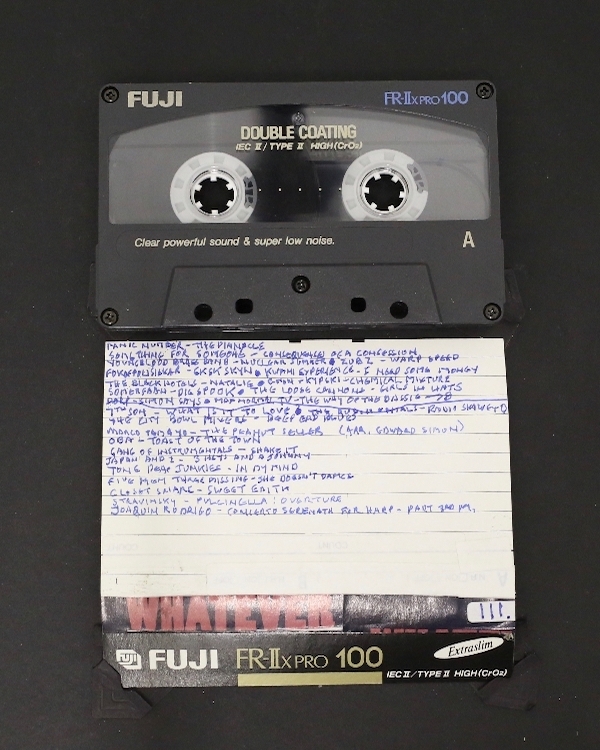 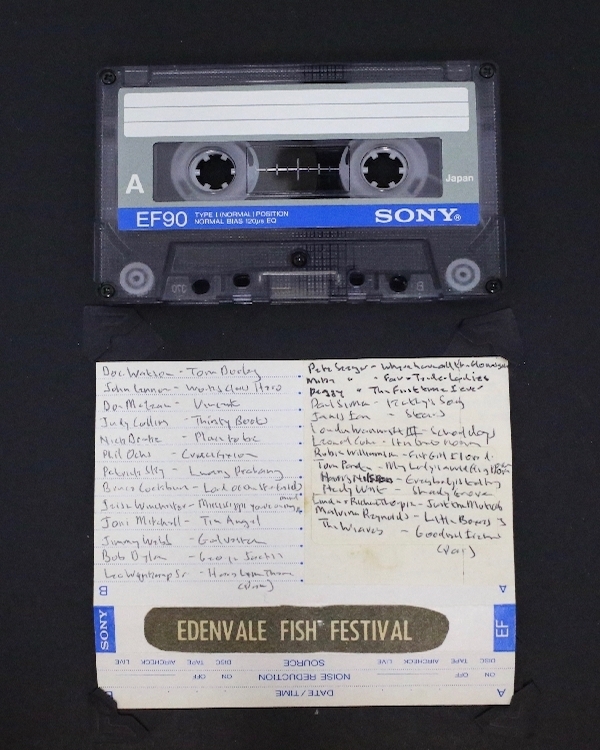 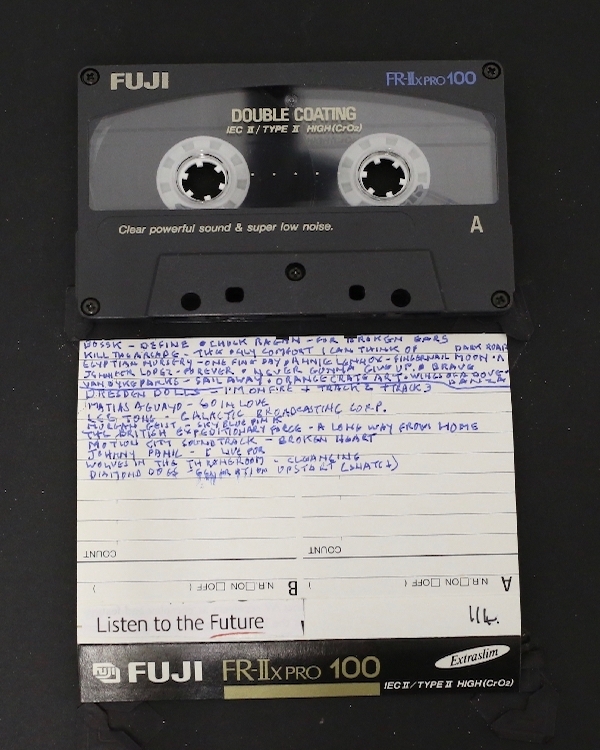 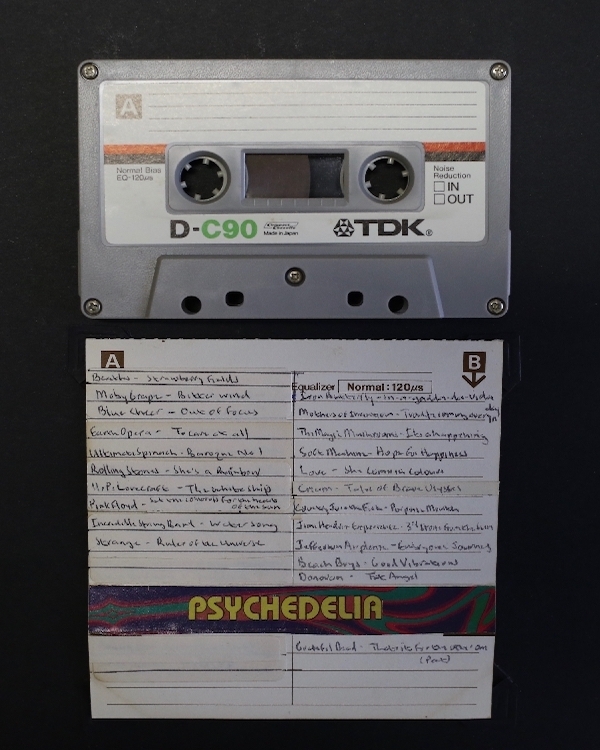 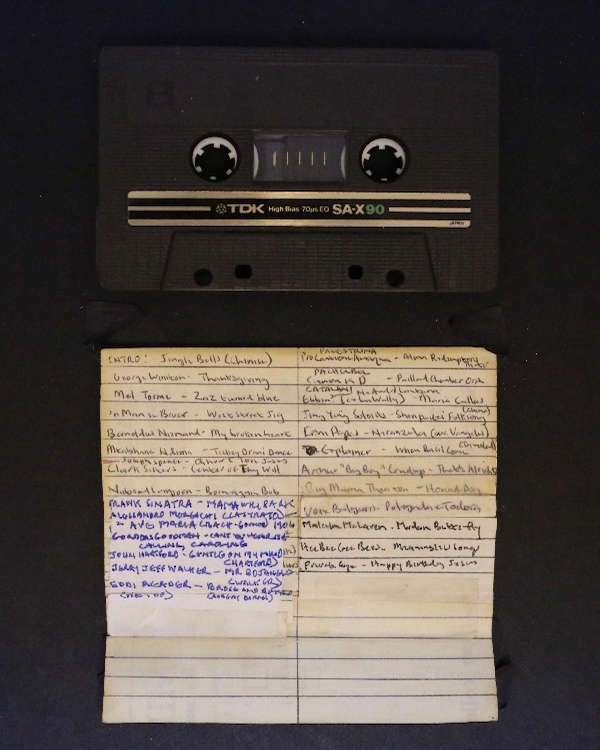 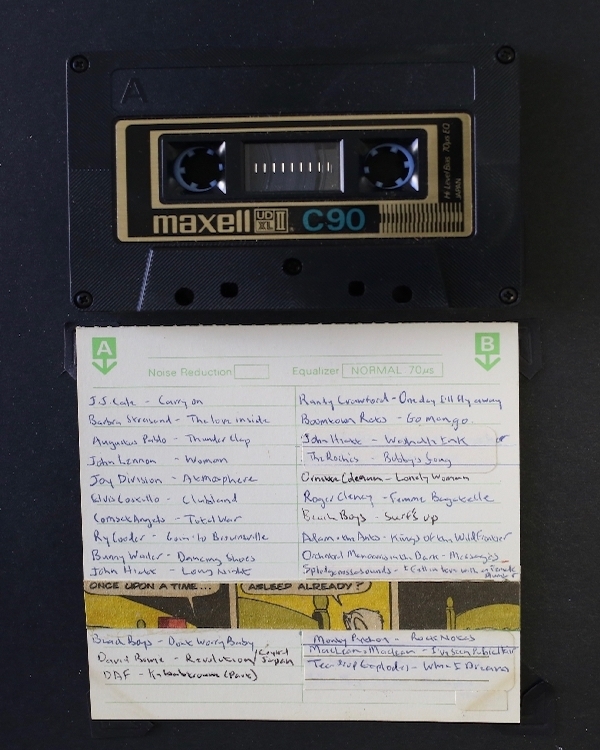 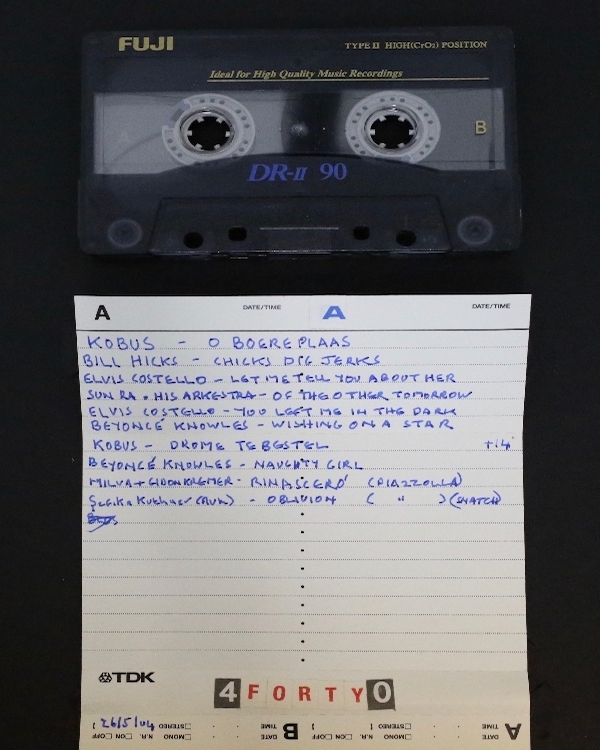 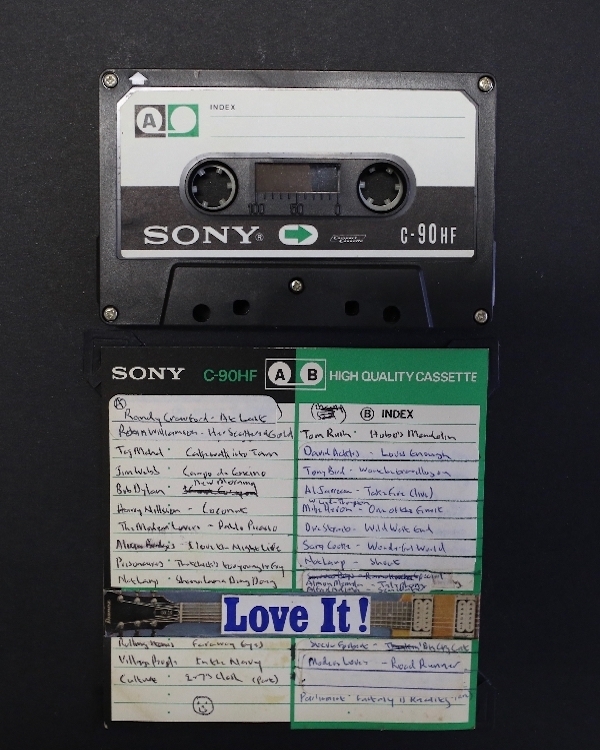 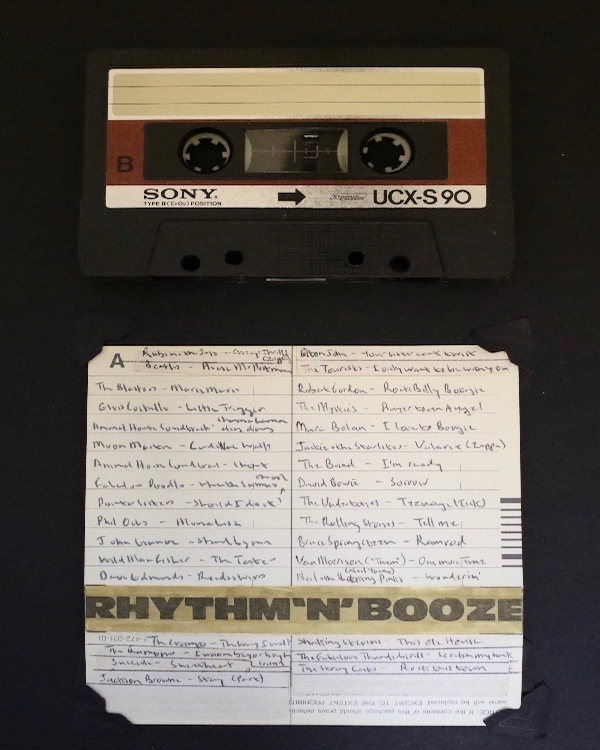 In order to share his collection with friends, family, and musicians Ben made a variety of mix-tapes, 377 of which is being preserved in the Hidden Years music archive at the Documentation Centre for Music, Stellenbosch University. 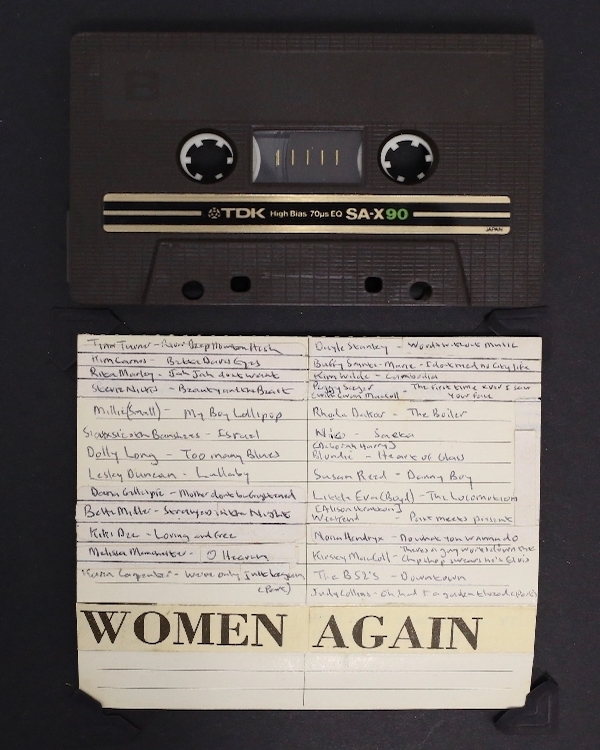 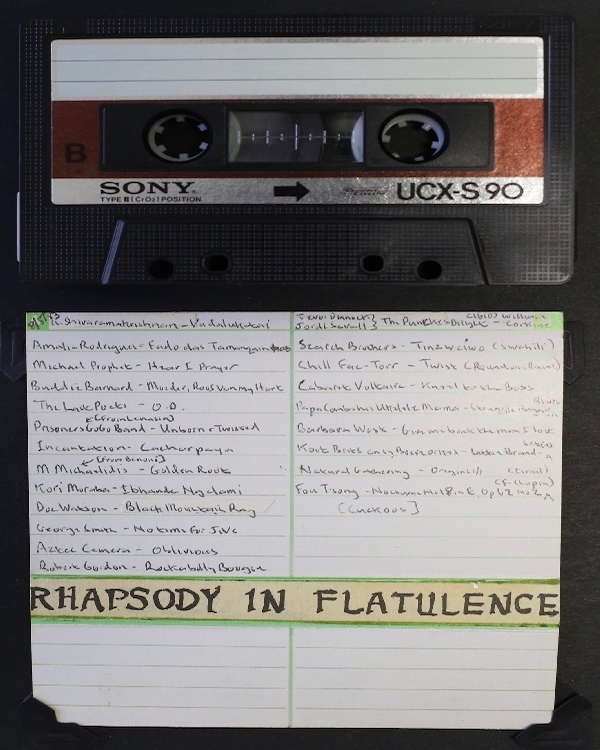 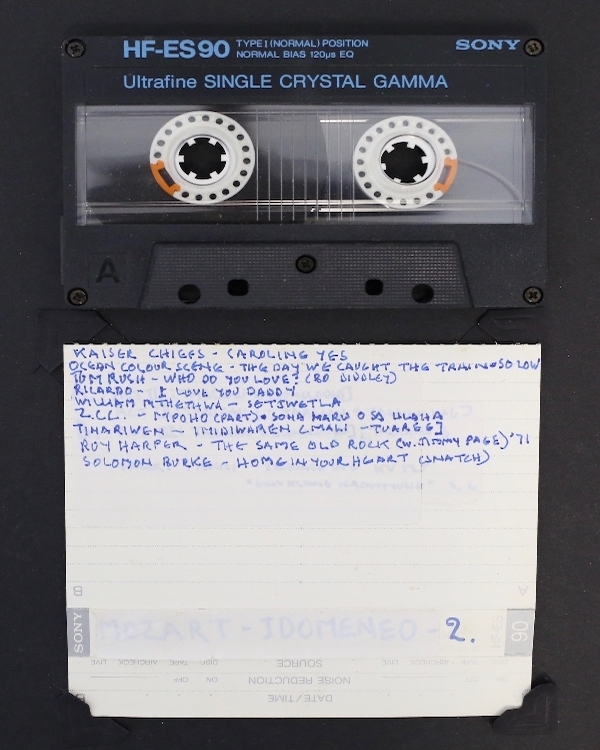 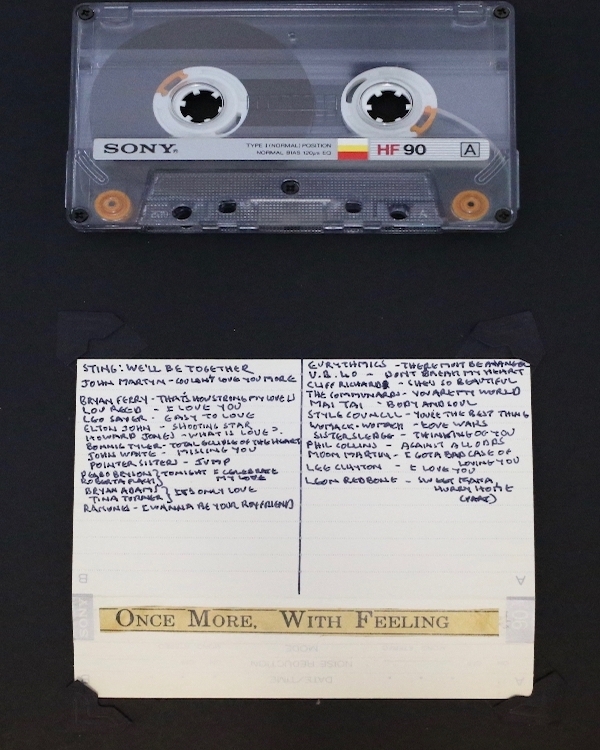 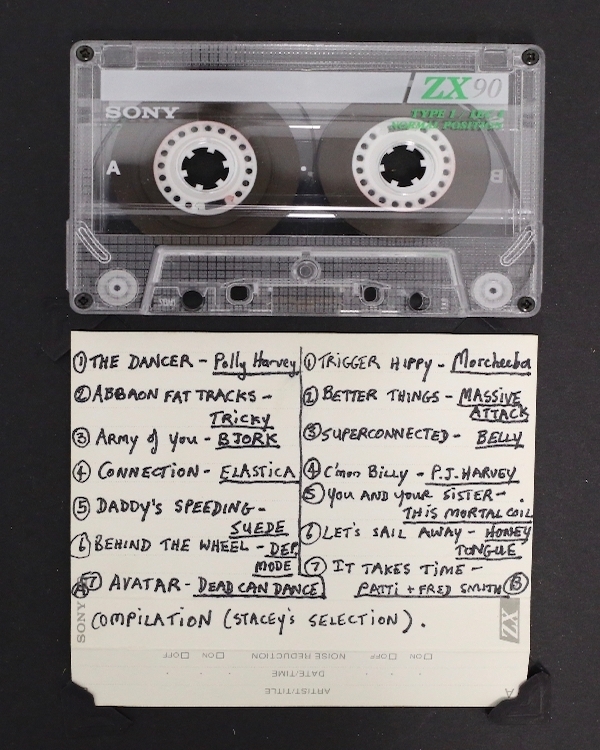 For this exhibition, we selected 113 tapes and reconstructed the playlists to resemble the mix-tapes as closely as possible. 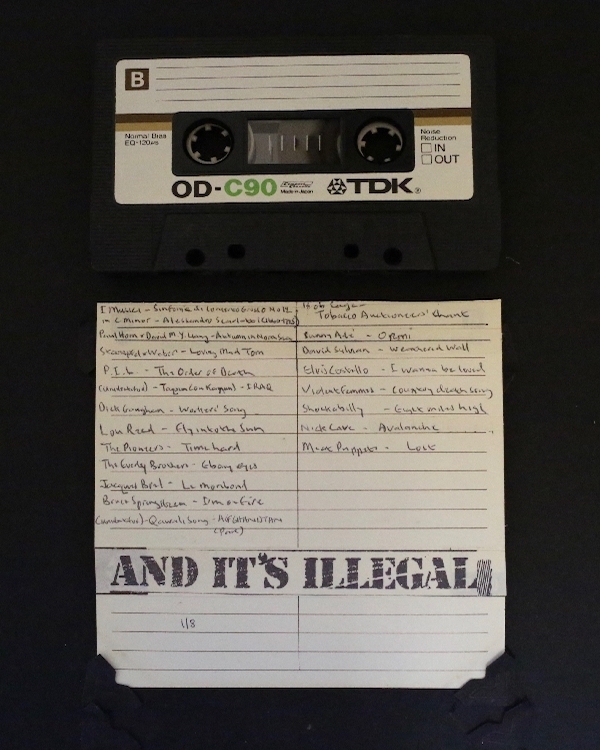 We do not own the copyright to the songs on the playlists and they were subsequently compiled from material already available on Youtube. 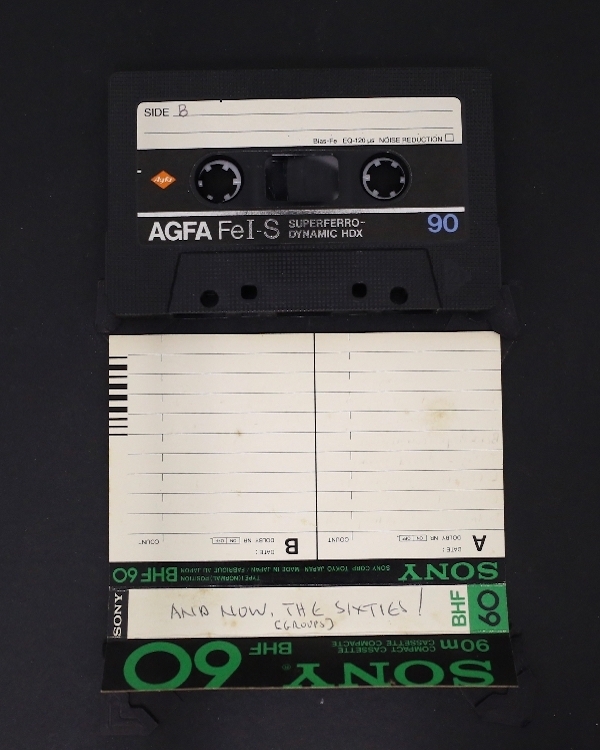 This digitisation project was made possible through a donation from Ben Segal’s three sons: Kenneth, Bernard and Arthur Segal. 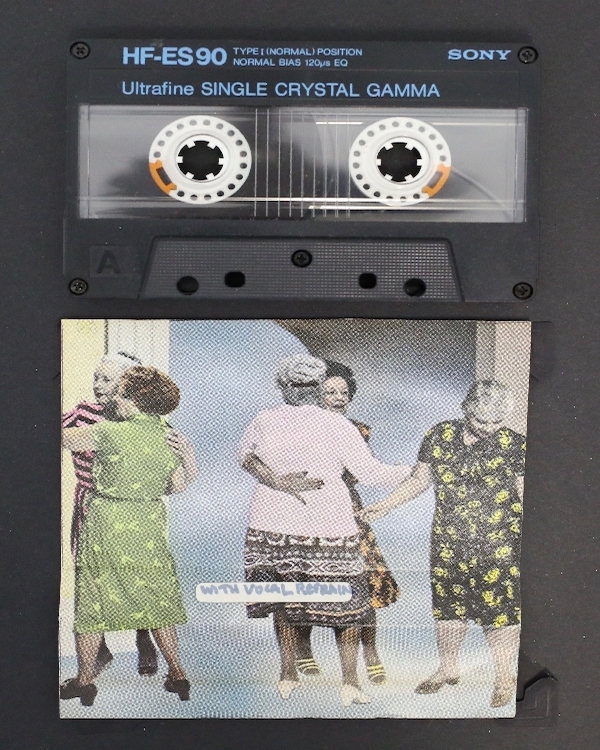 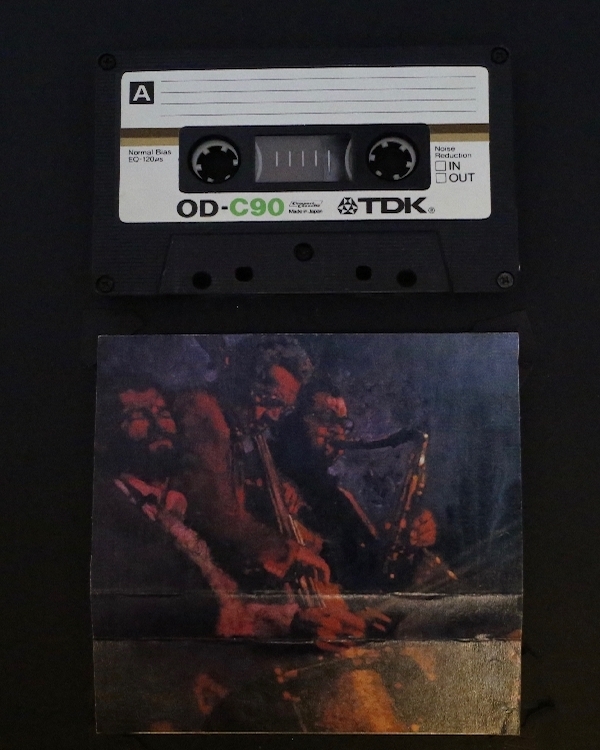 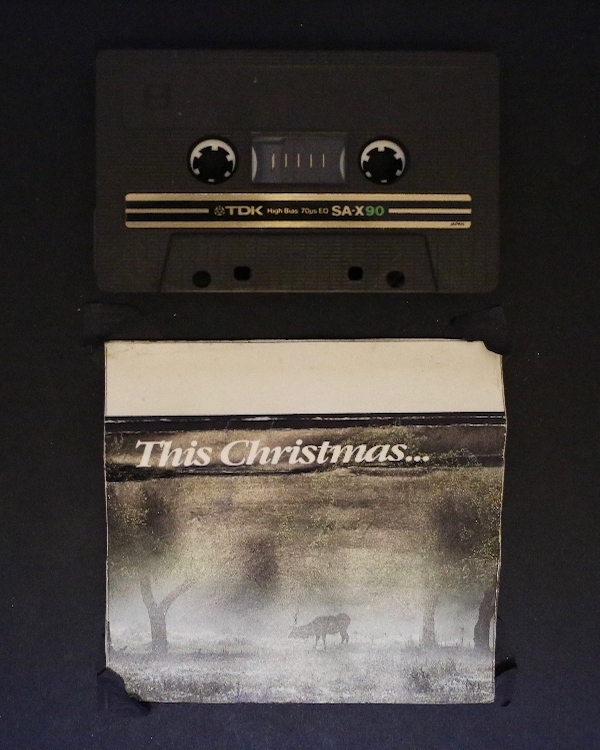 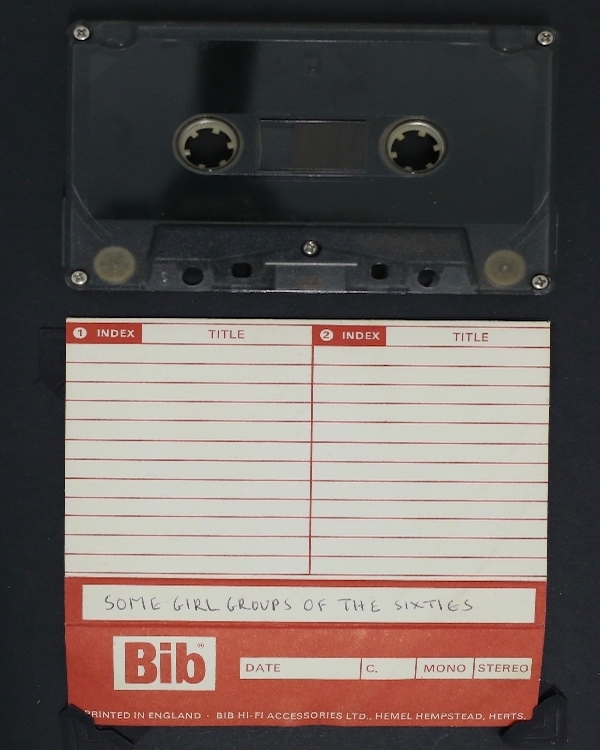 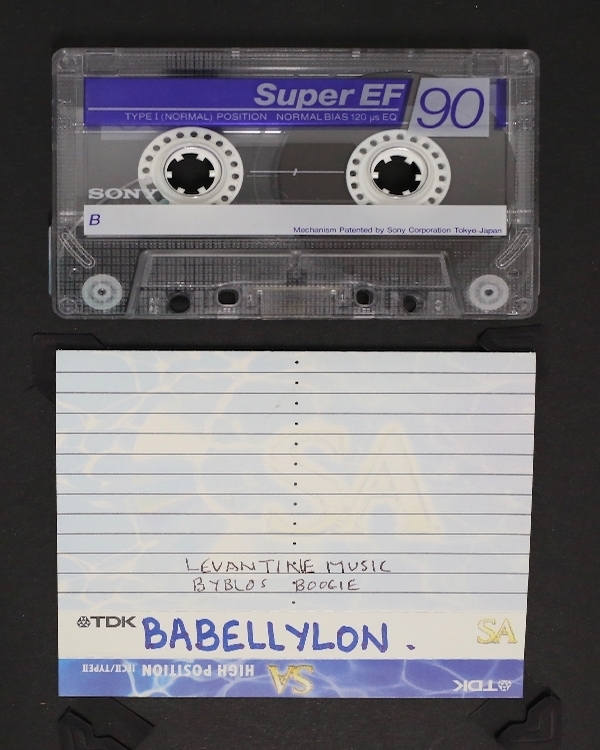 The tape covers were digitised by Curtley Solomons, and the playlists were compiled by Curtley Solomons, Ashrudeen Waggie and Lizabé Lambrechts.